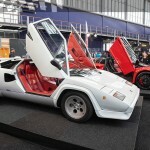 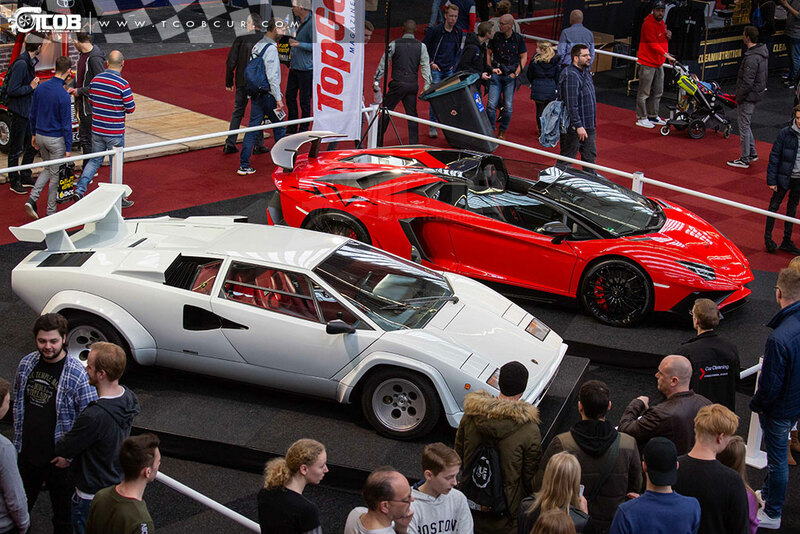 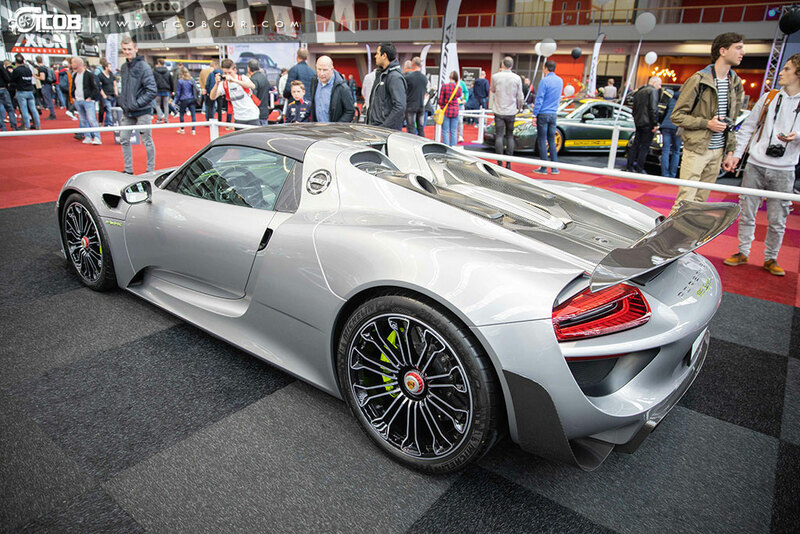 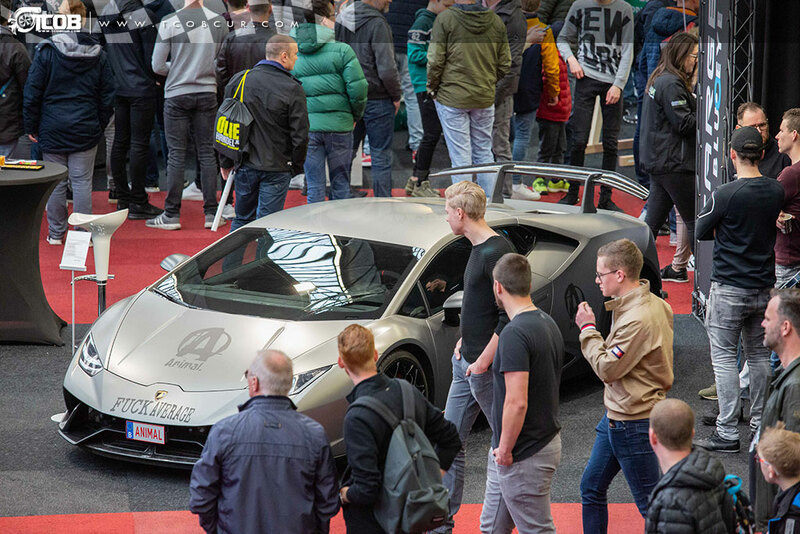 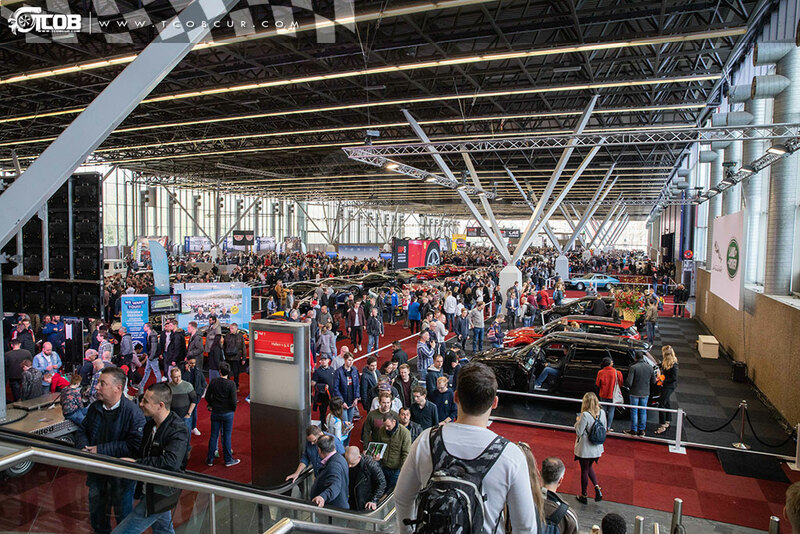 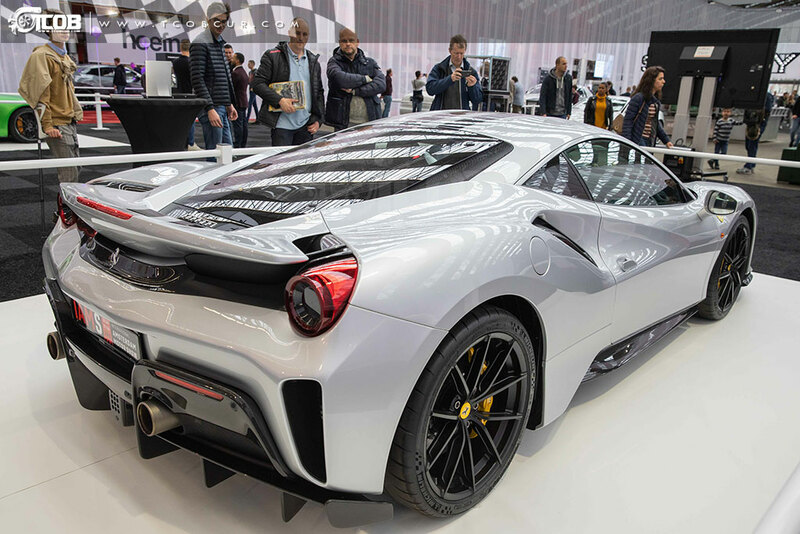 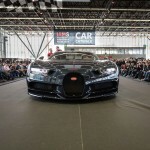 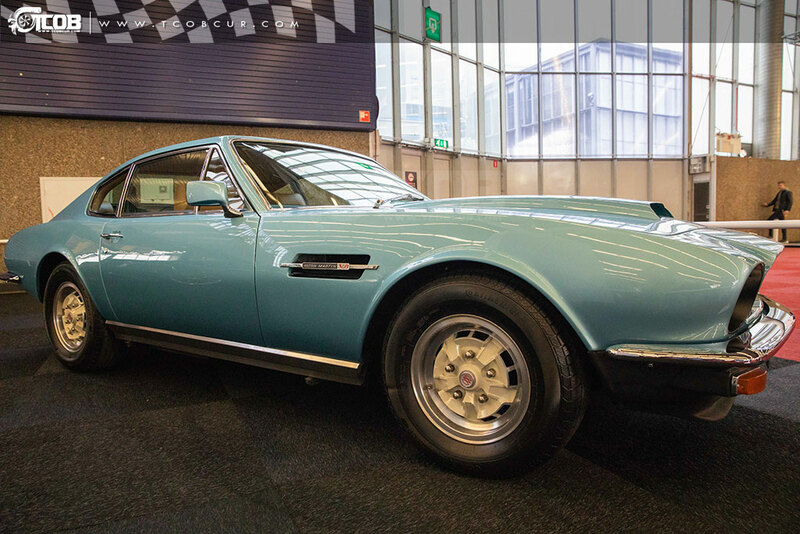 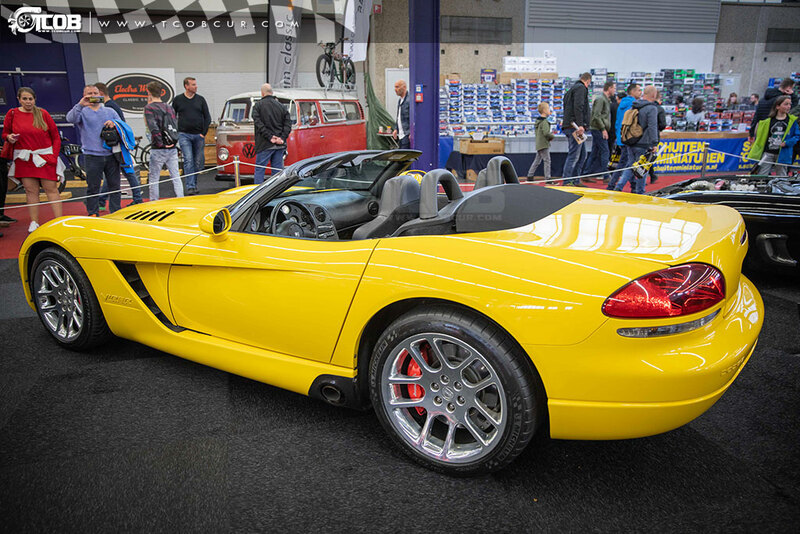 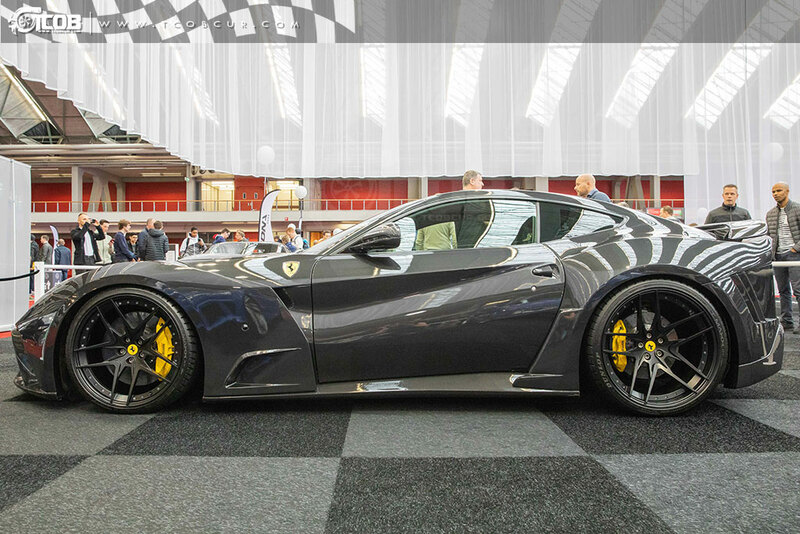 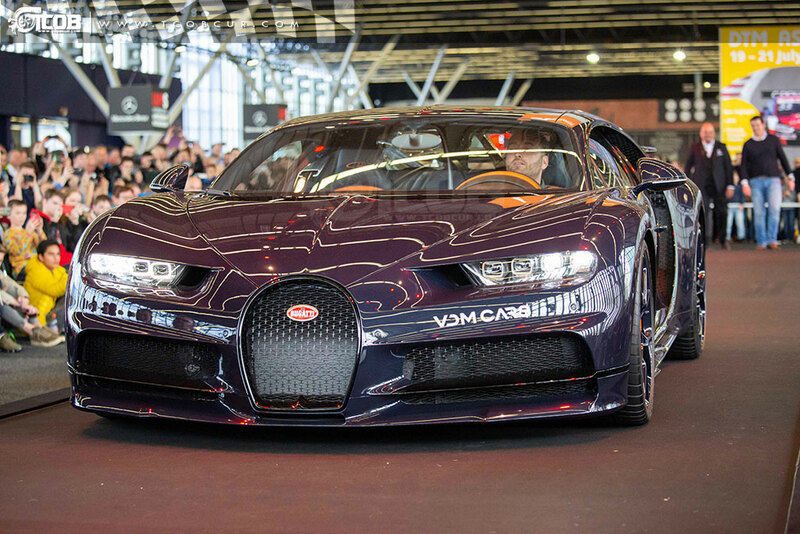 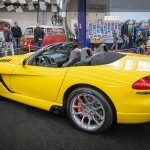 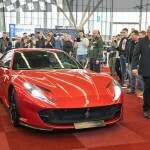 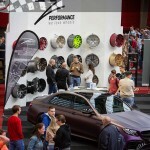 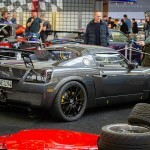 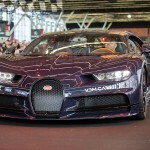 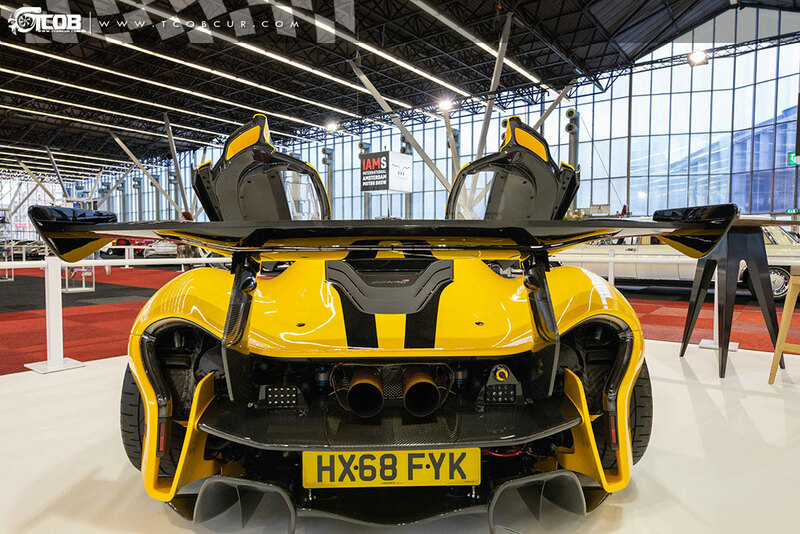 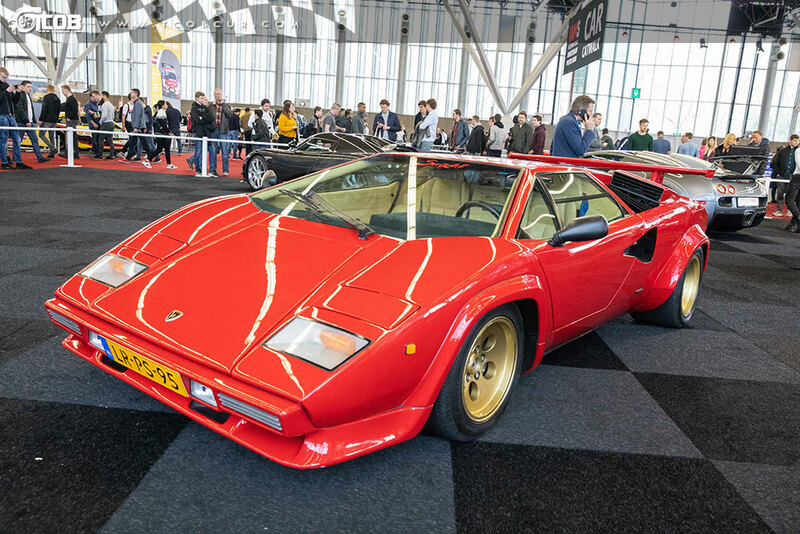 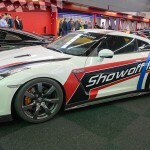 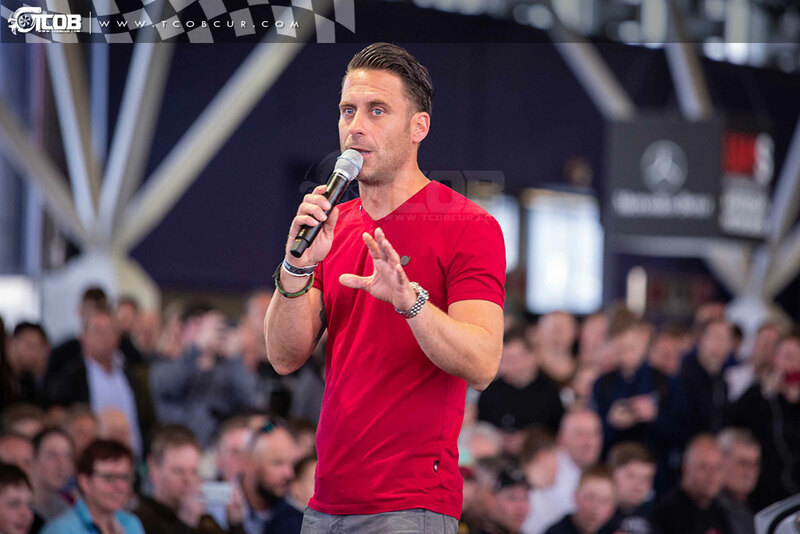 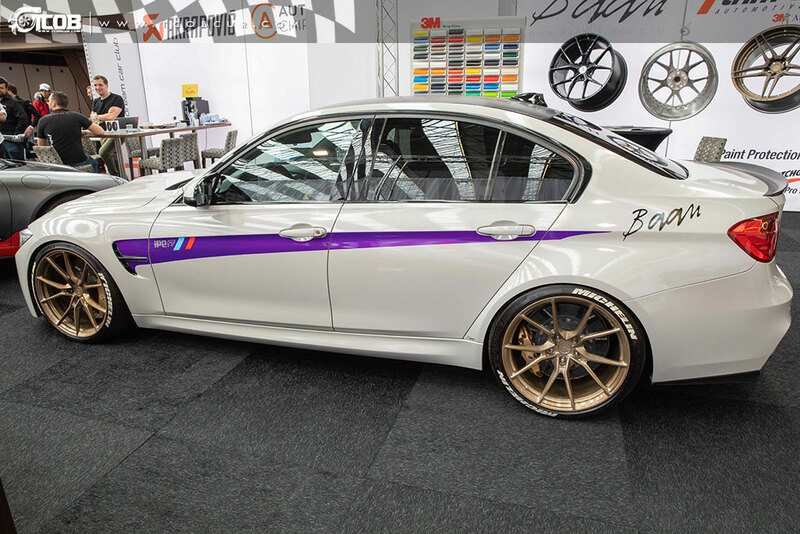 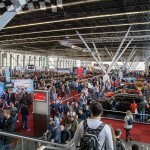 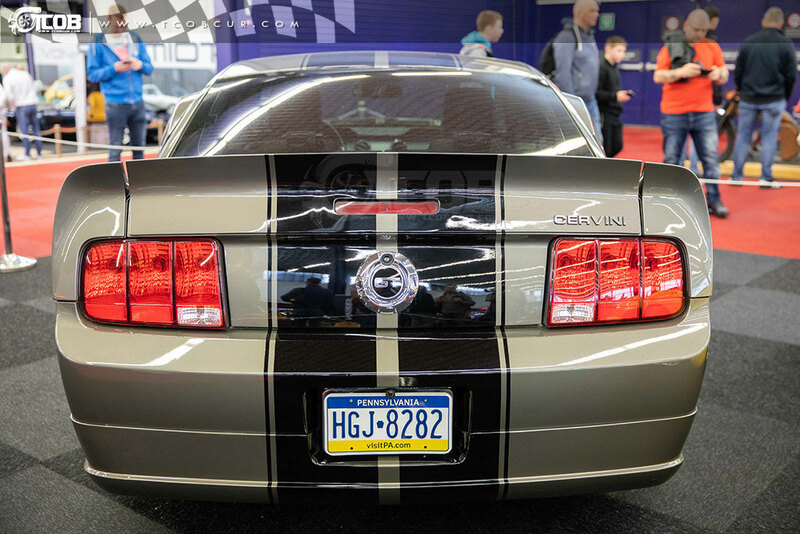 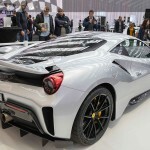 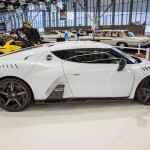 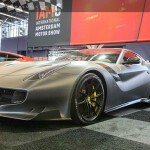 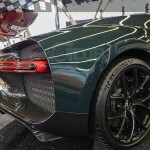 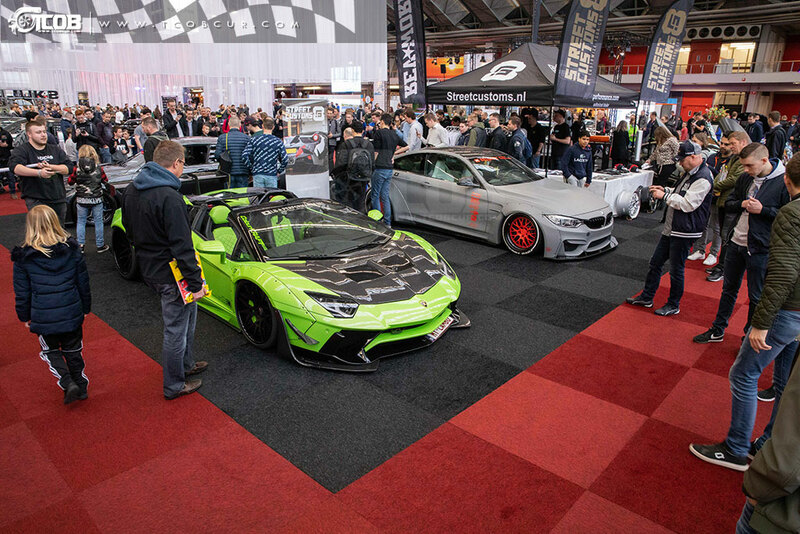 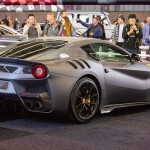 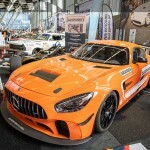 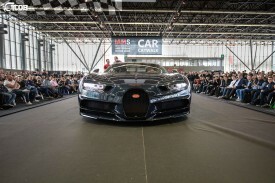 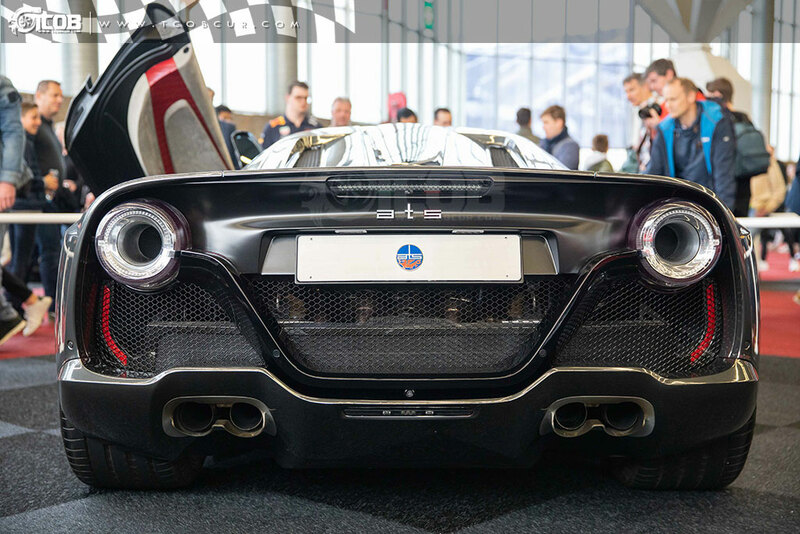 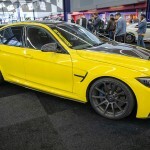 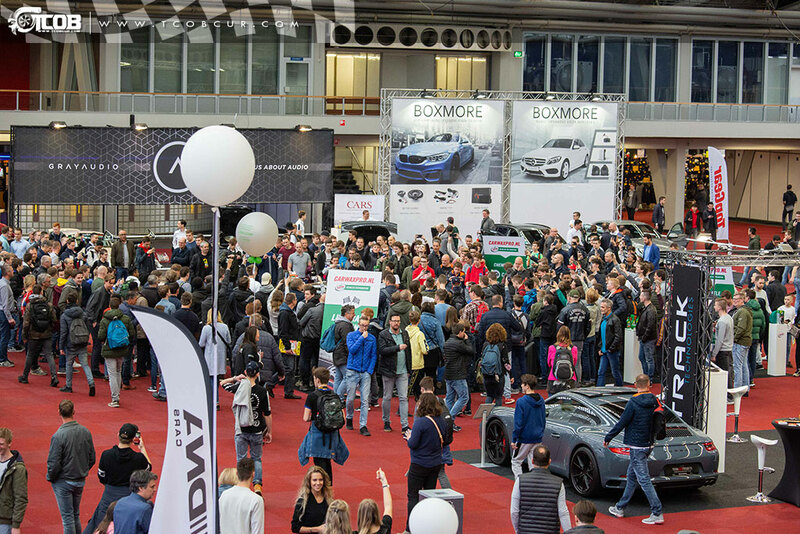 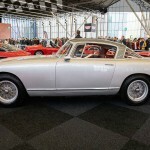 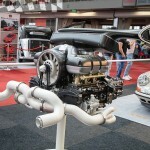 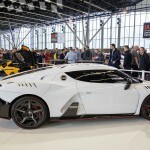 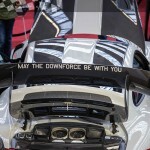 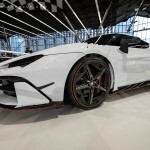 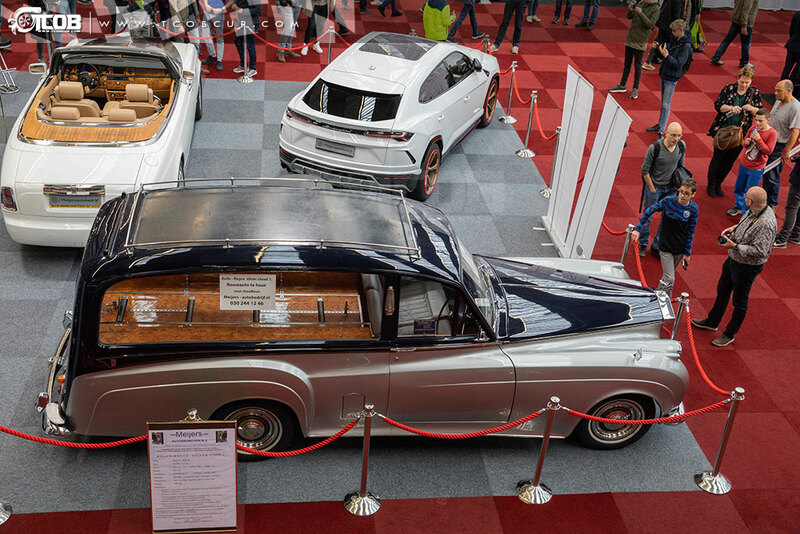 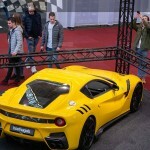 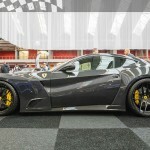 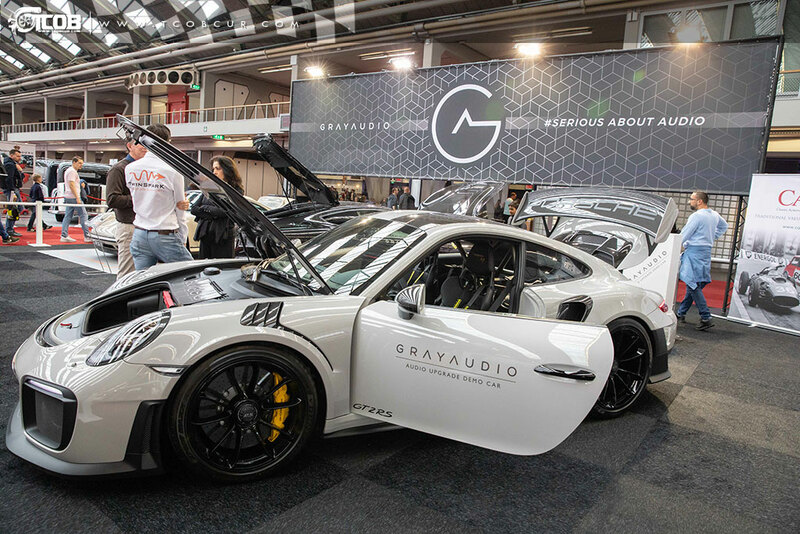 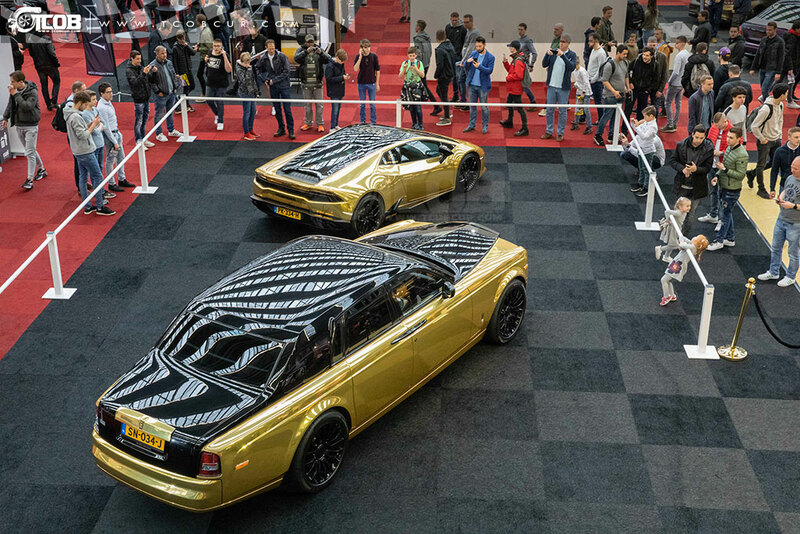 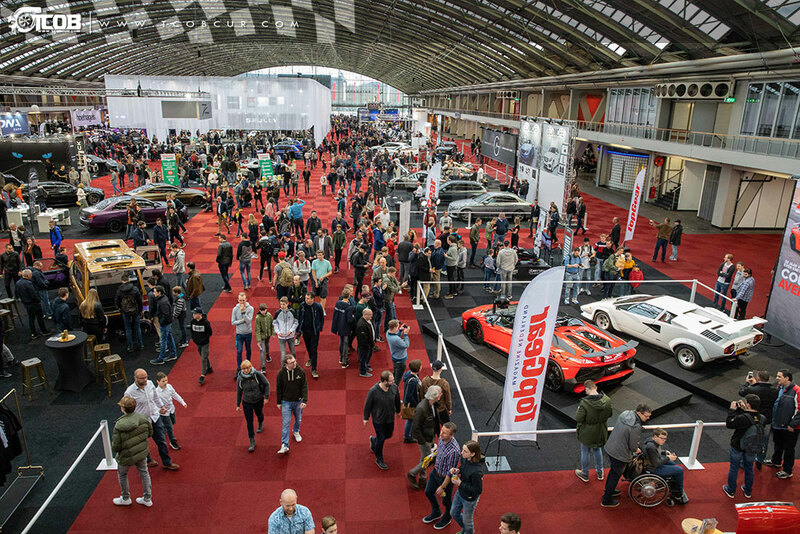 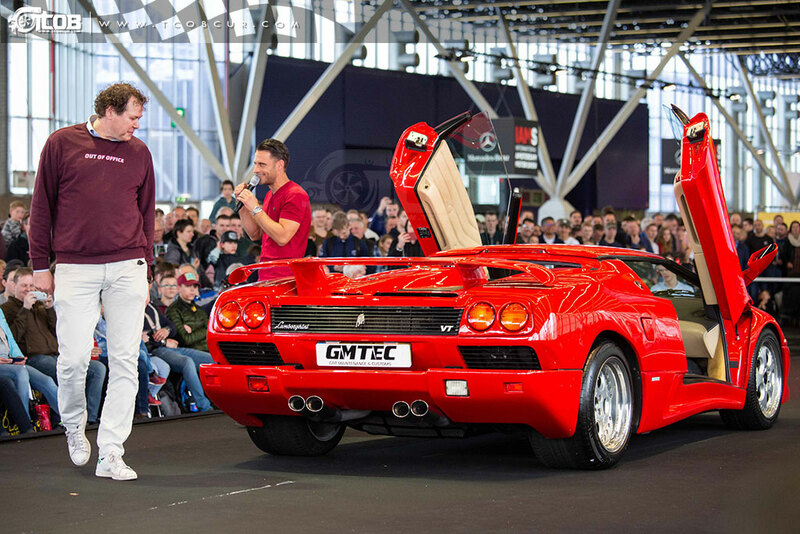 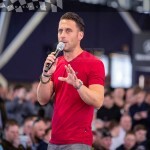 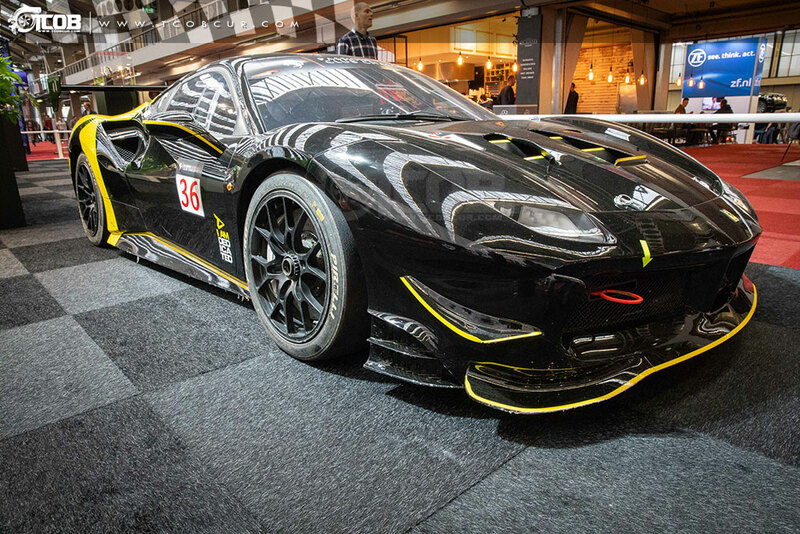 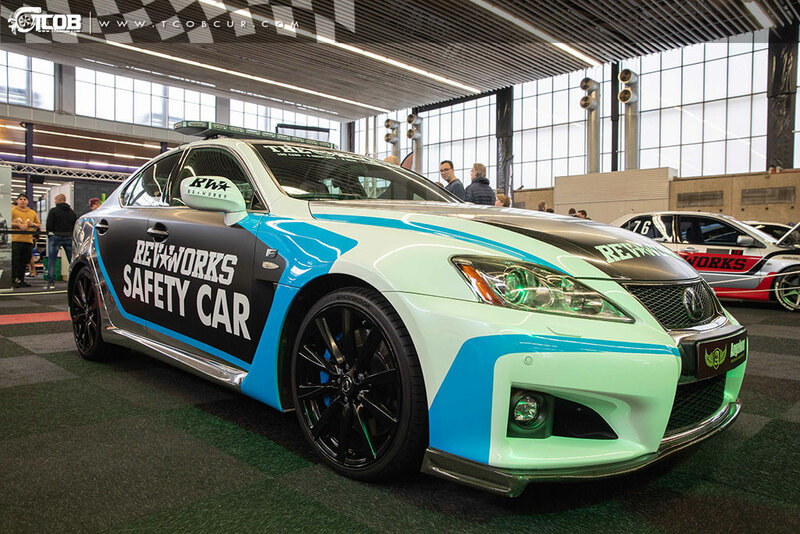 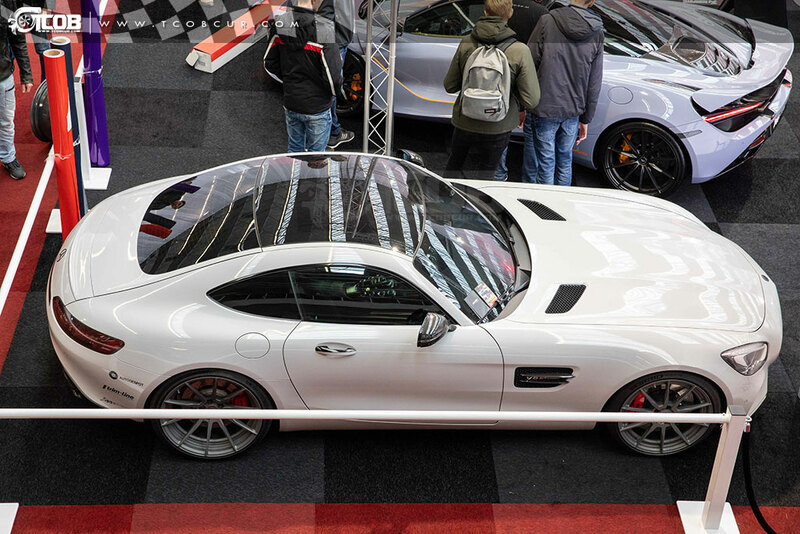 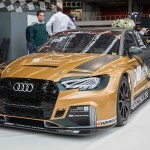 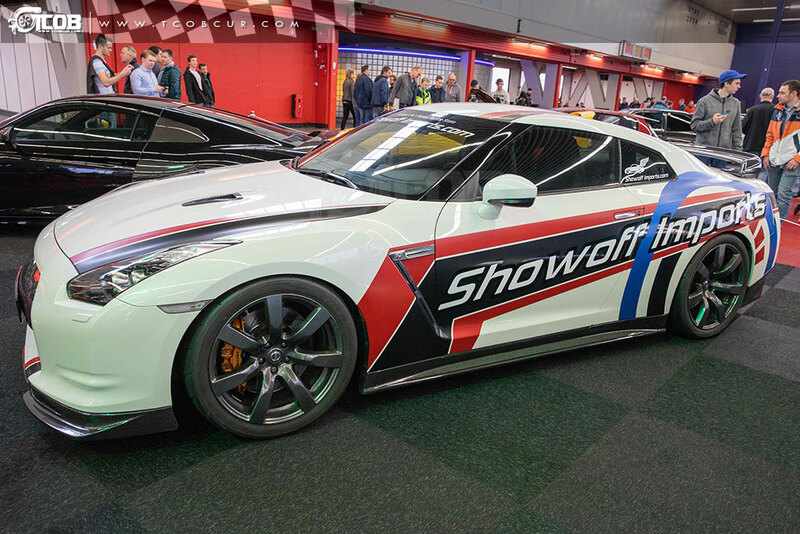 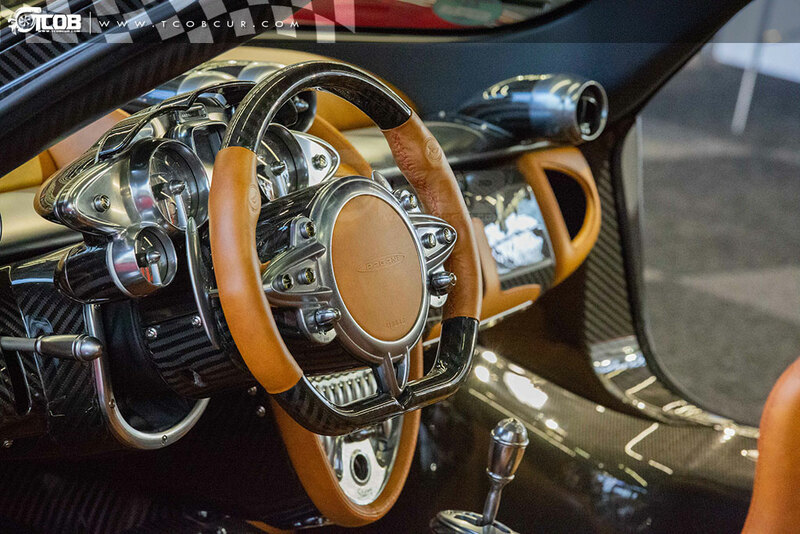 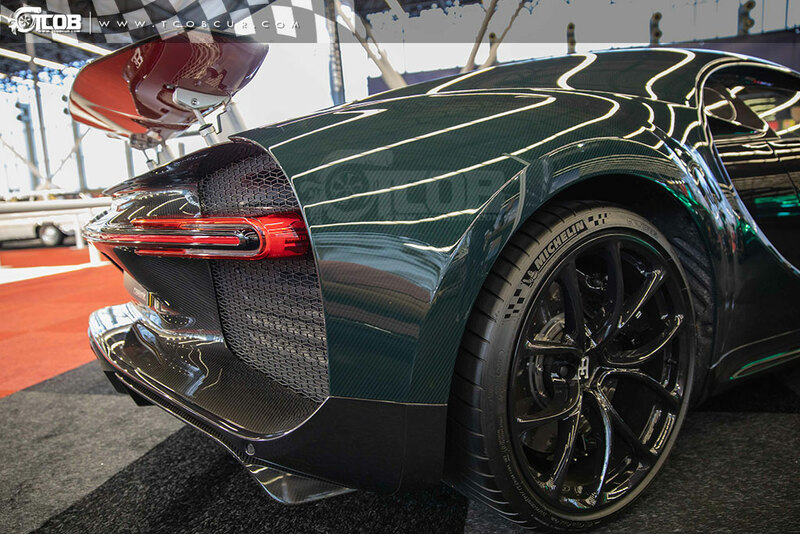 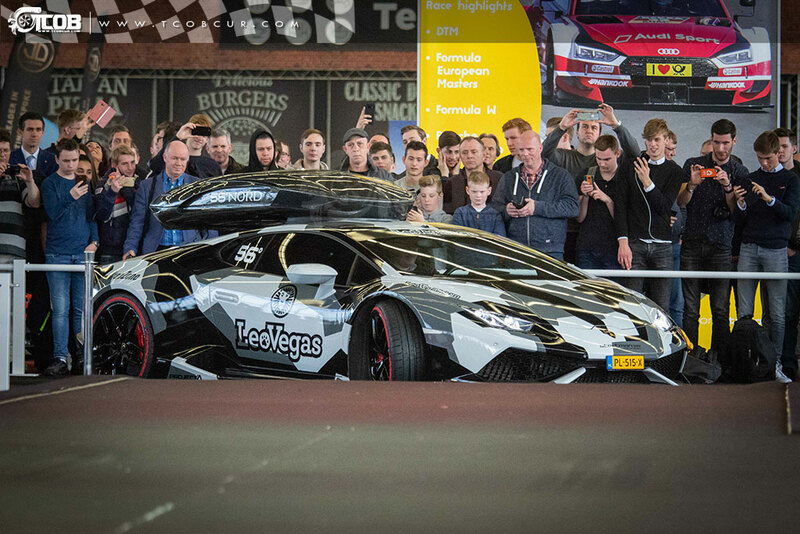 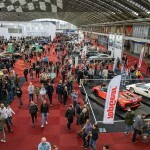 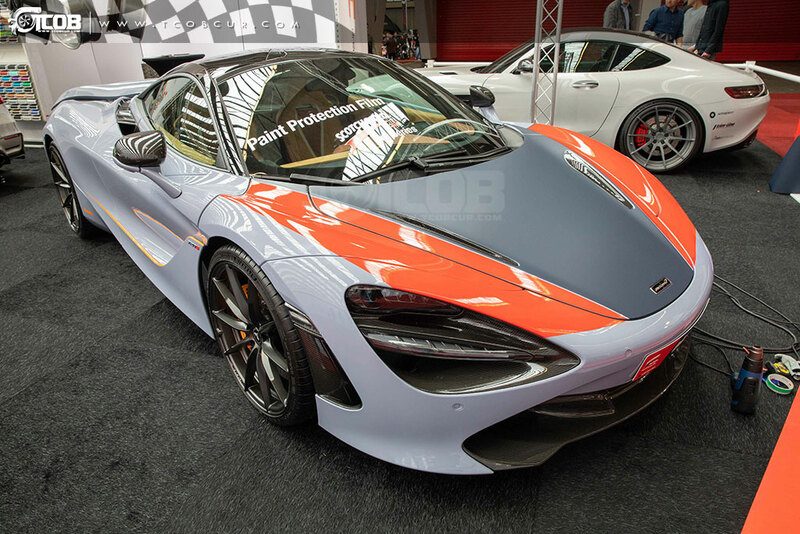 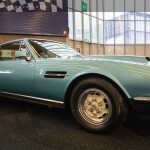 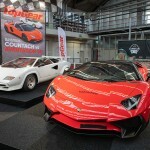 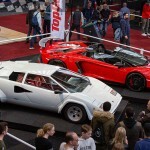 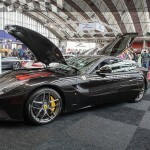 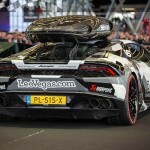 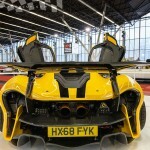 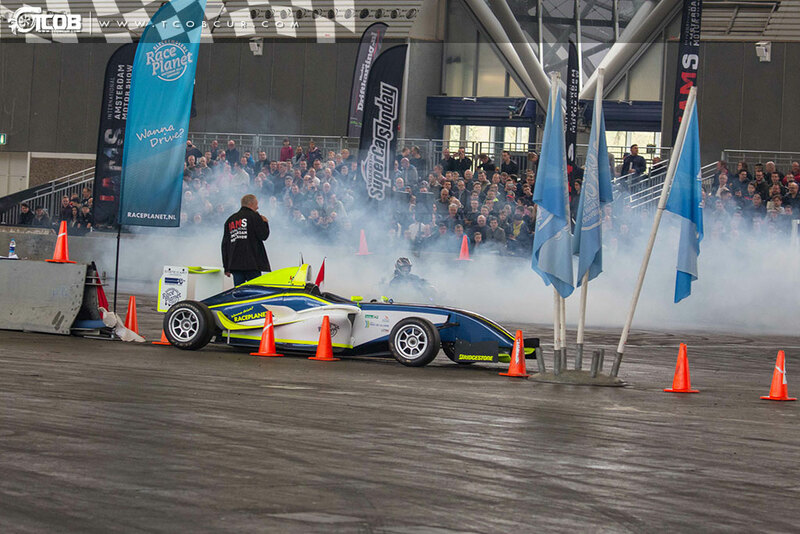 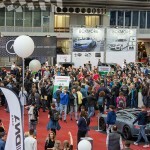 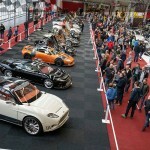 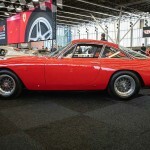 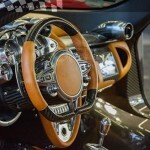 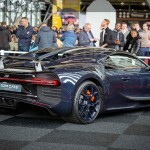 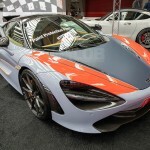 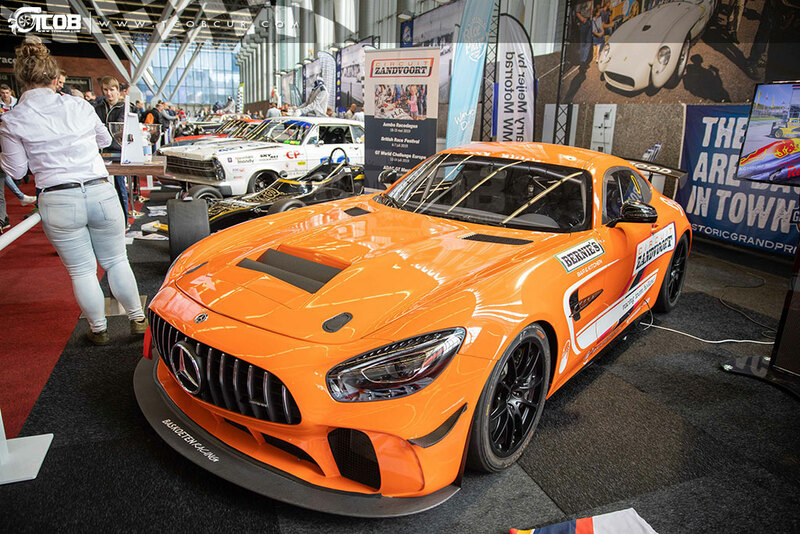 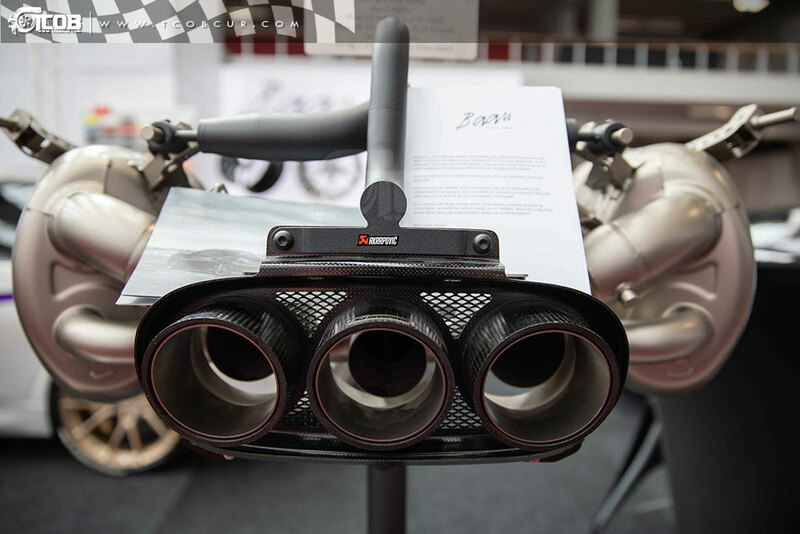 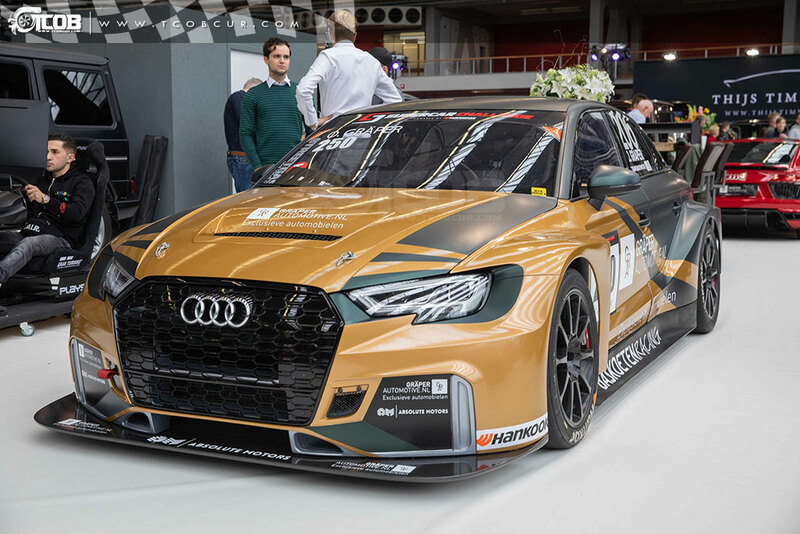 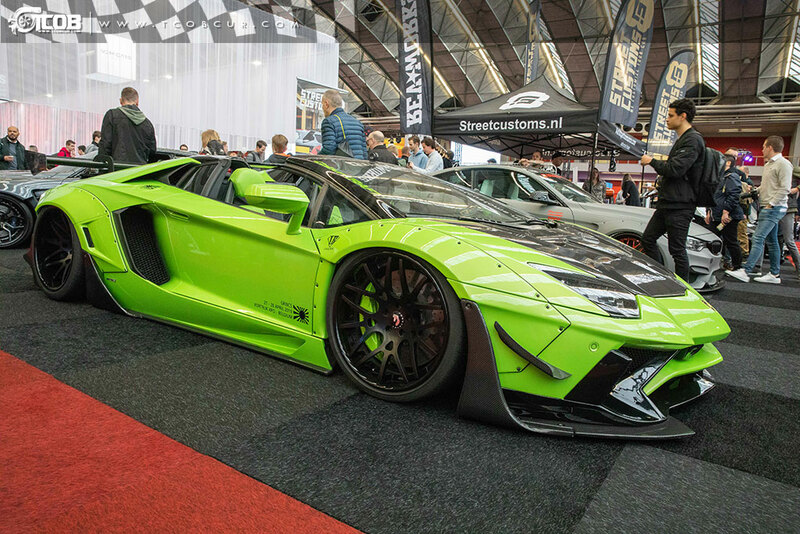 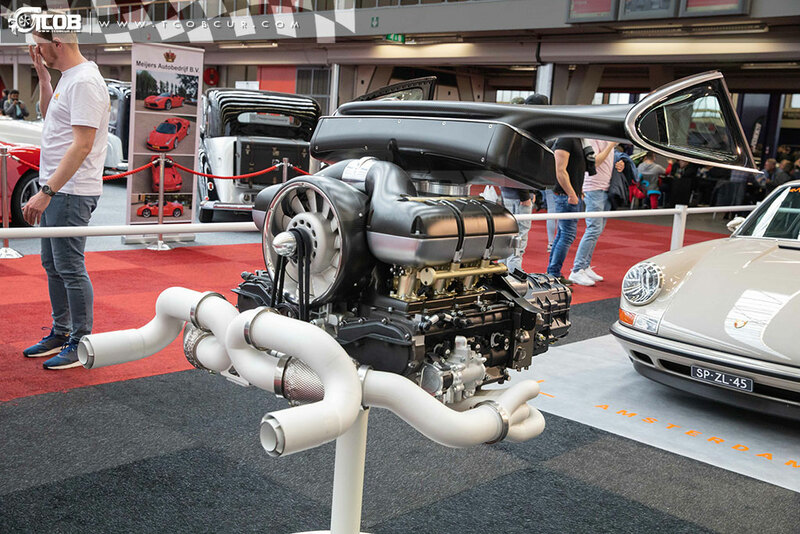 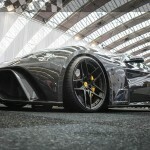 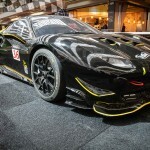 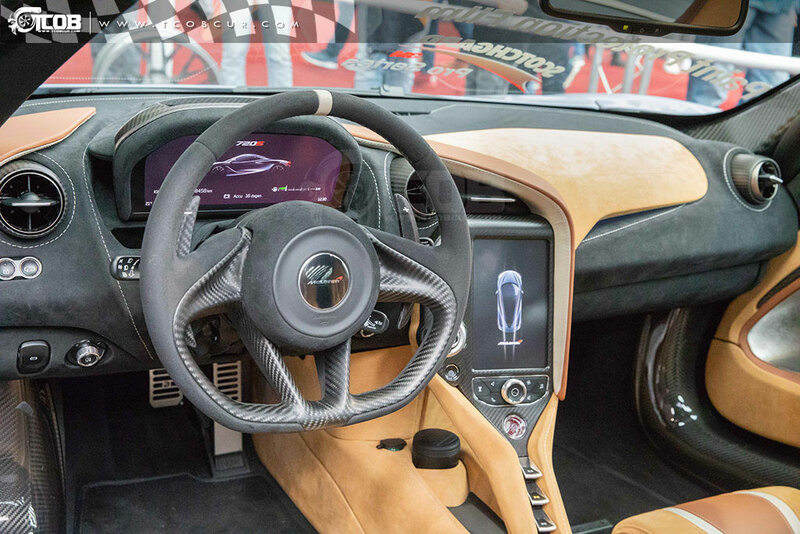 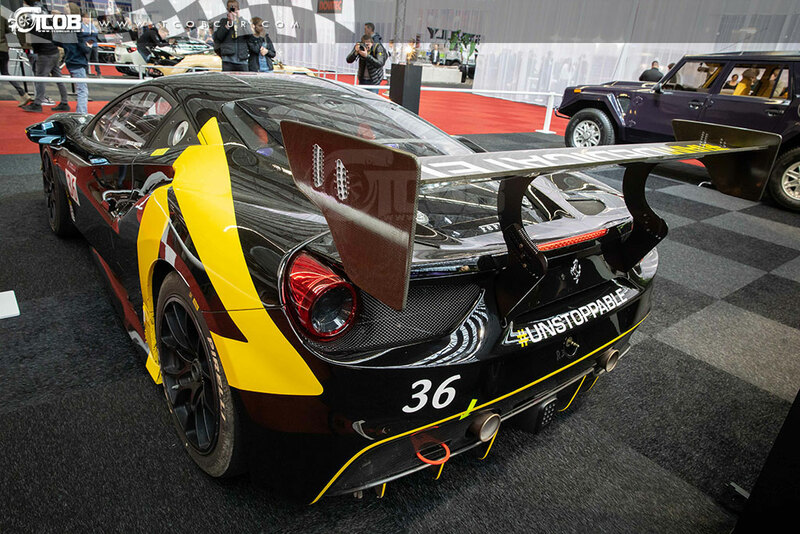 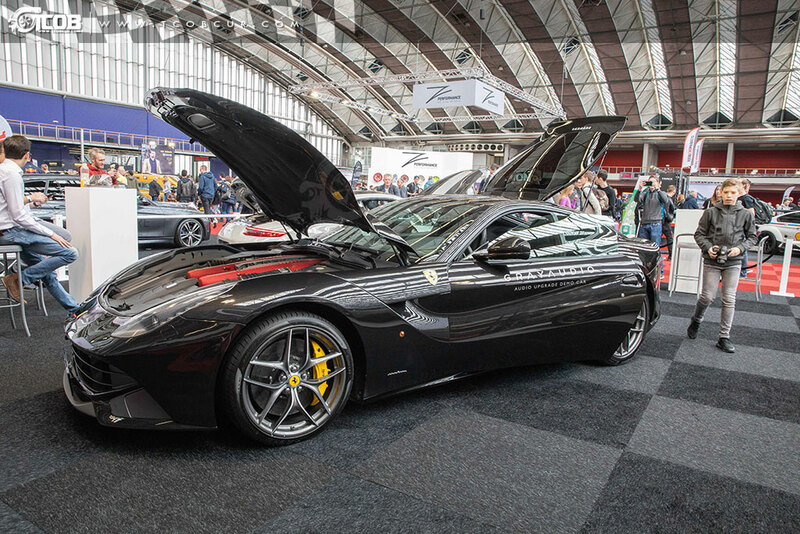 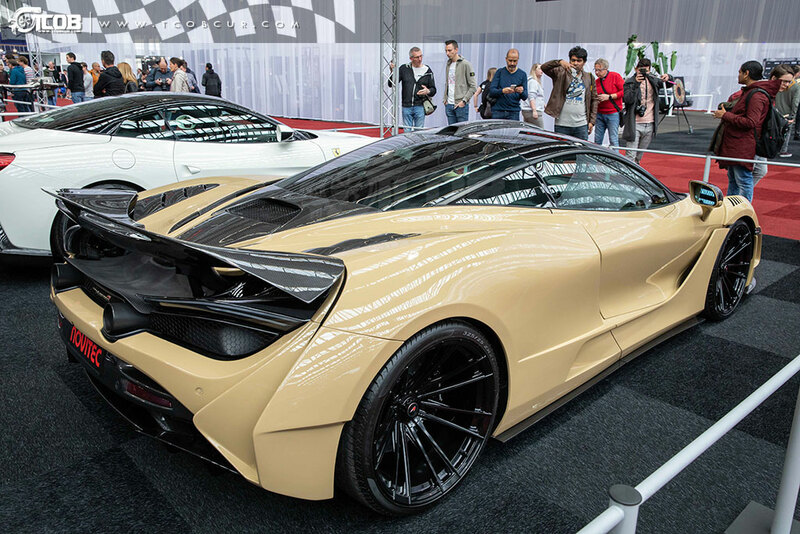 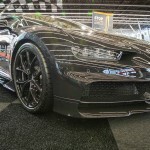 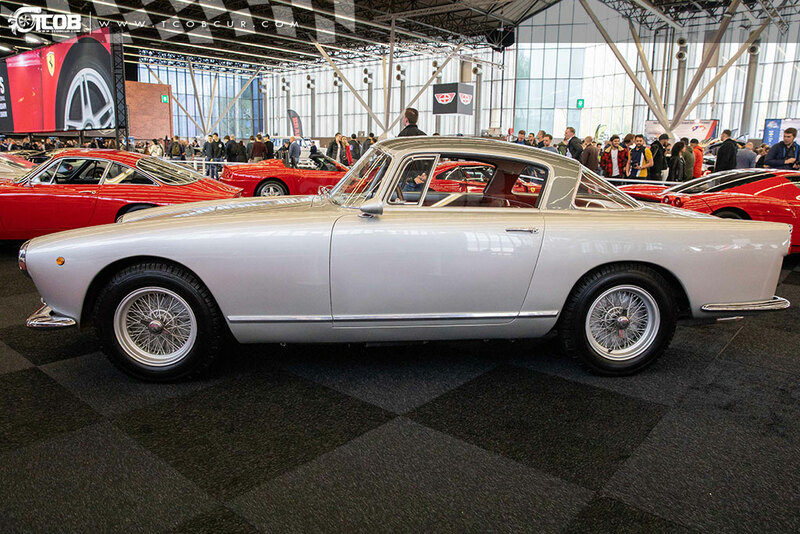 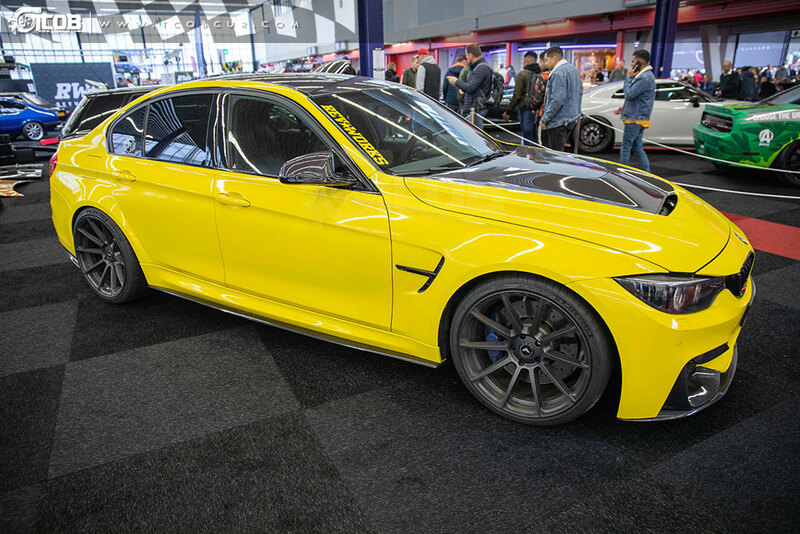 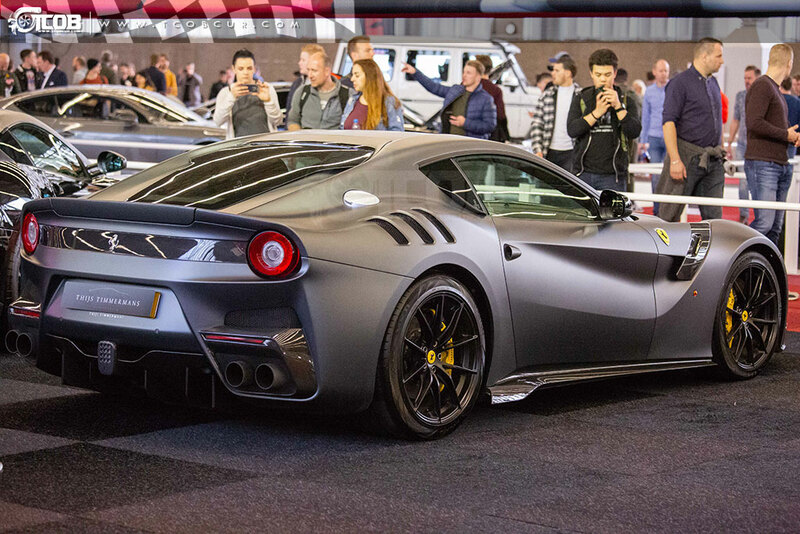 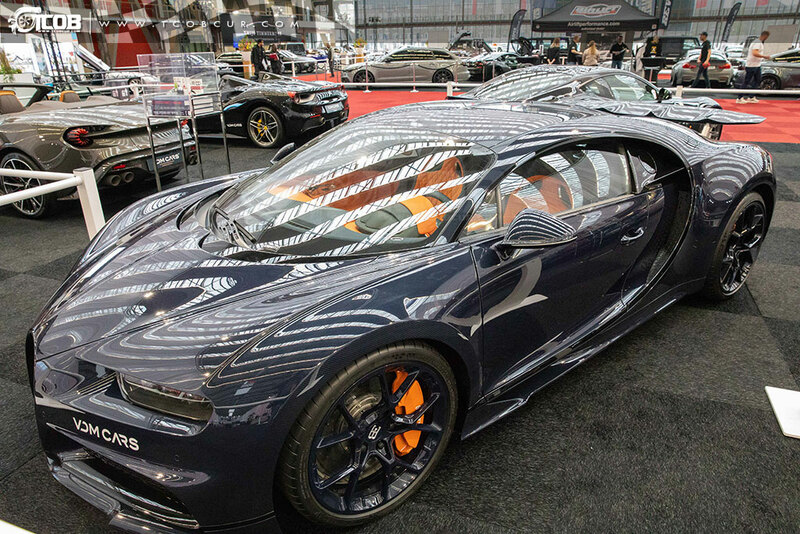 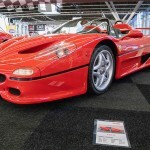 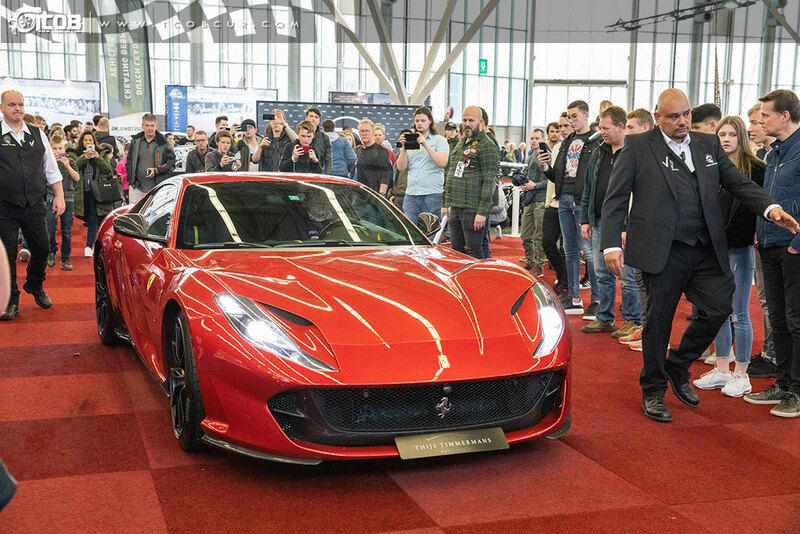 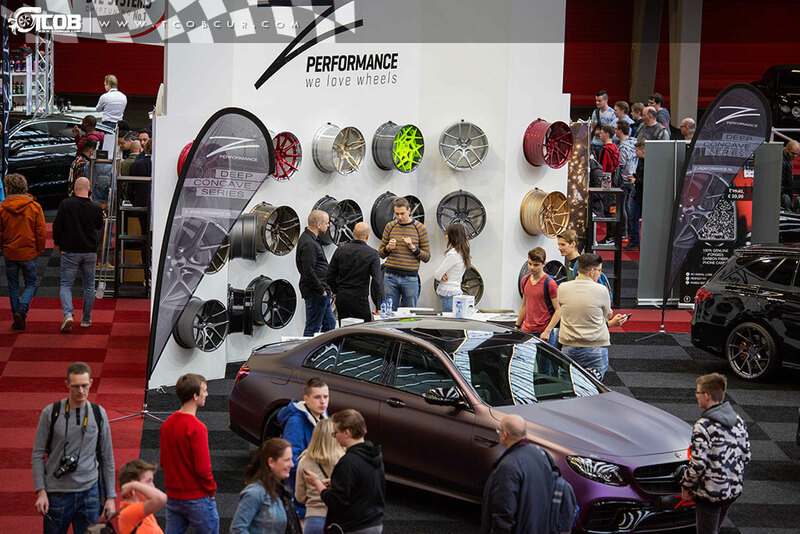 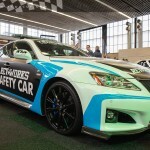 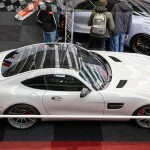 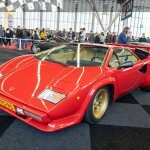 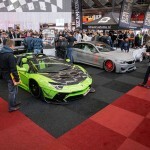 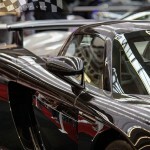 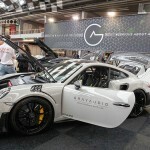 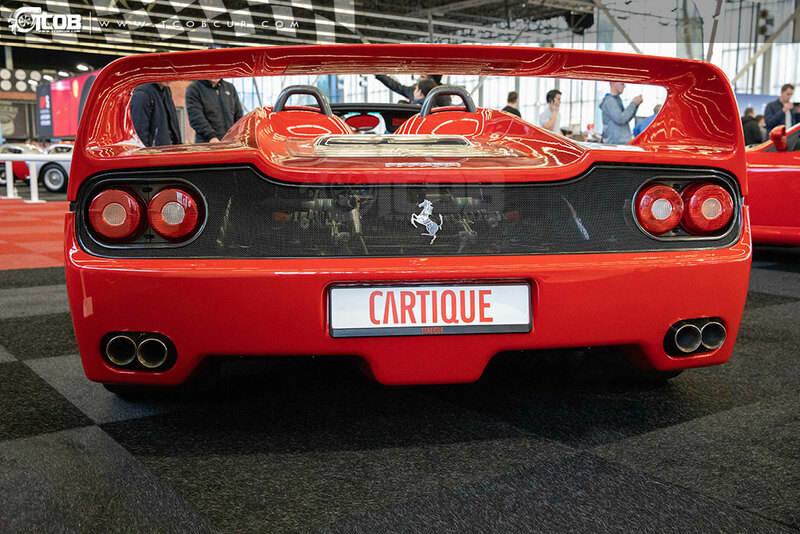 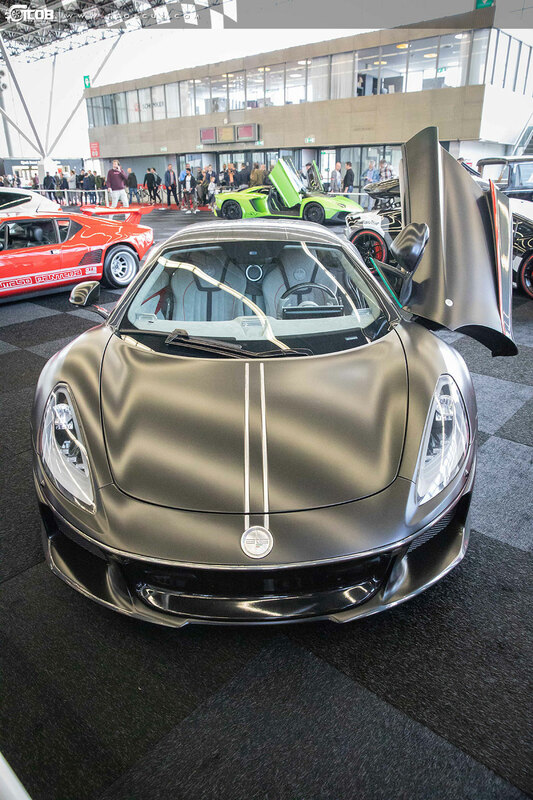 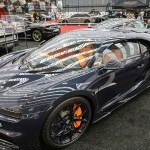 Amsterdam RAI, 6th March 2019: After a successful first edition in 2018 where nearly 60 thousand car enthusiast found their way to Amsterdam RAI, this second edition went beyond expectations. 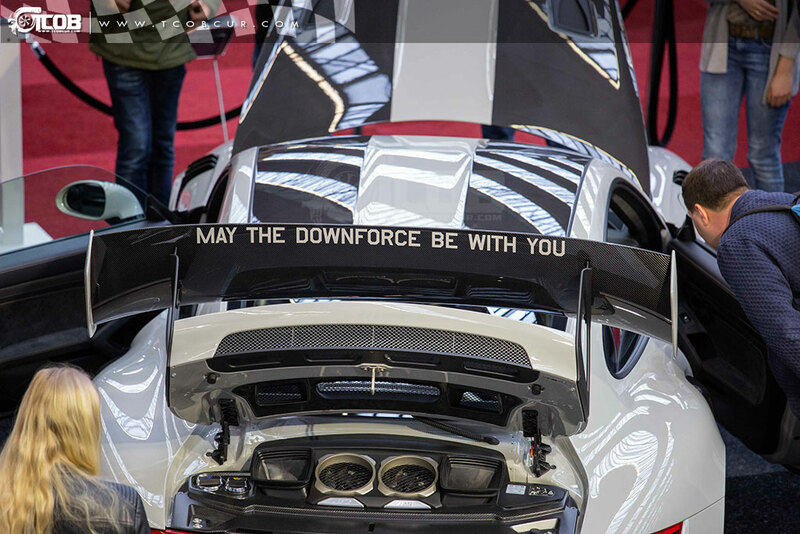 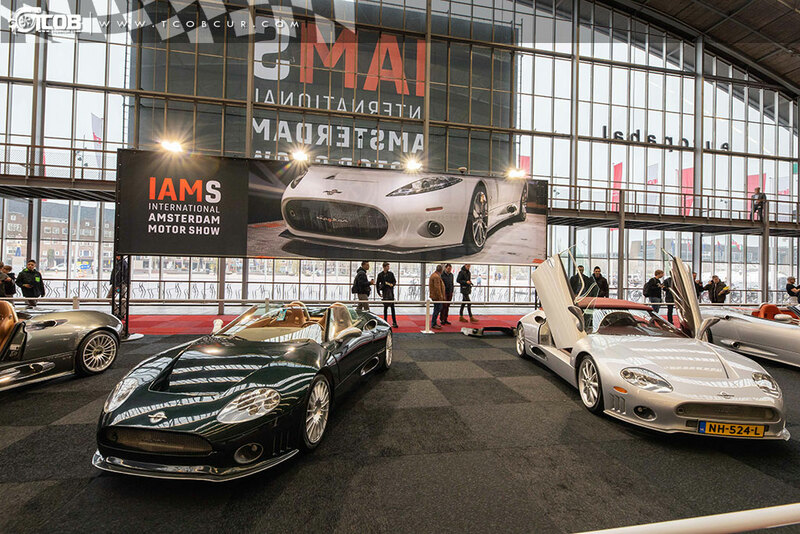 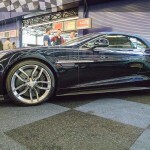 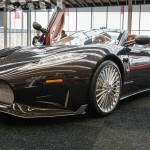 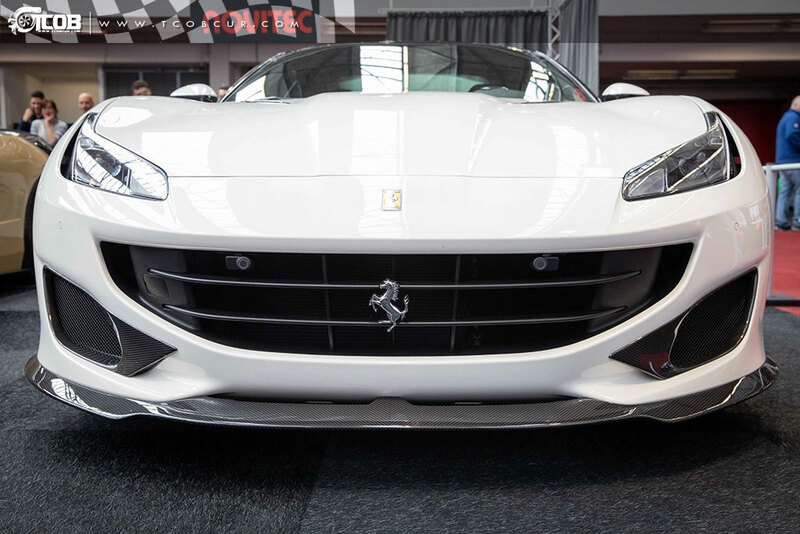 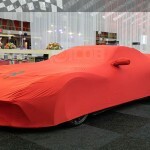 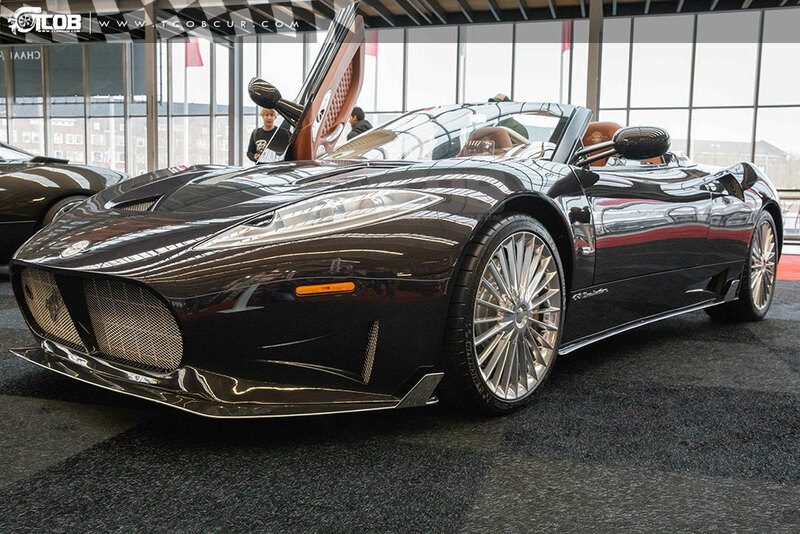 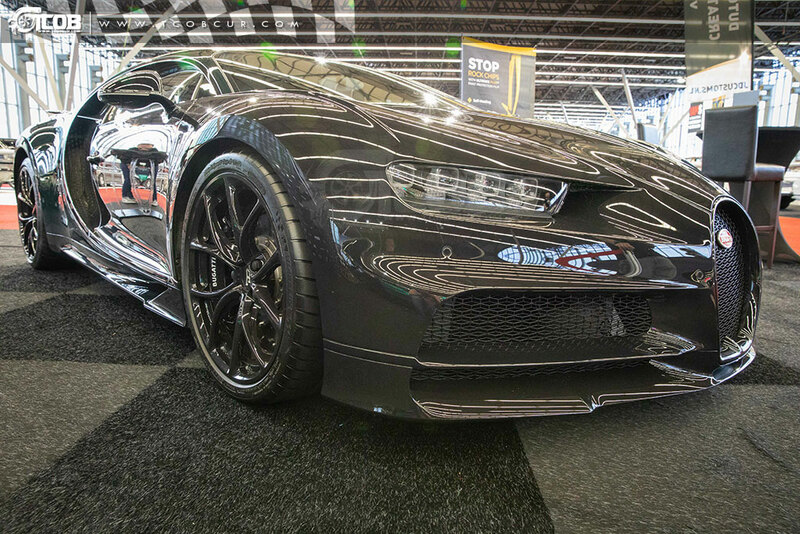 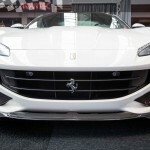 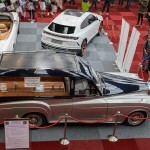 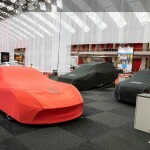 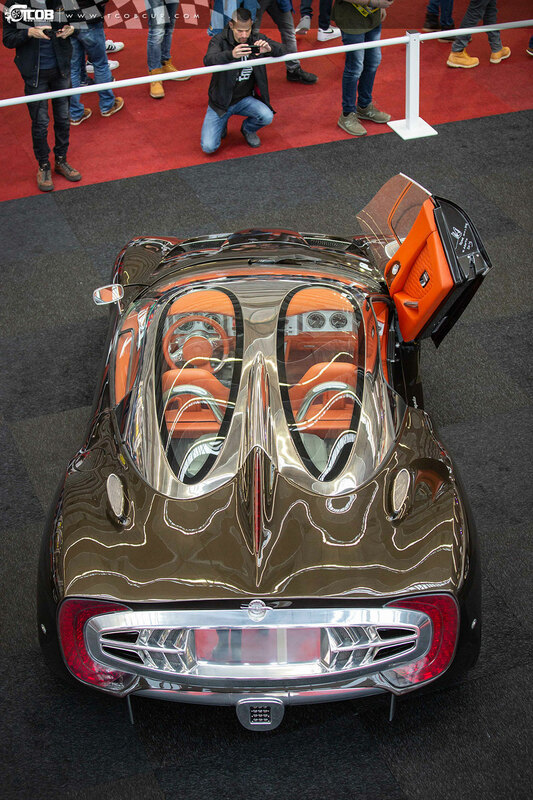 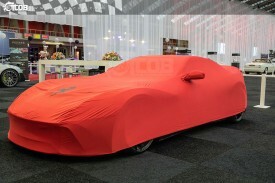 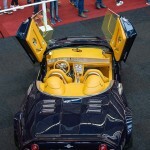 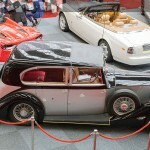 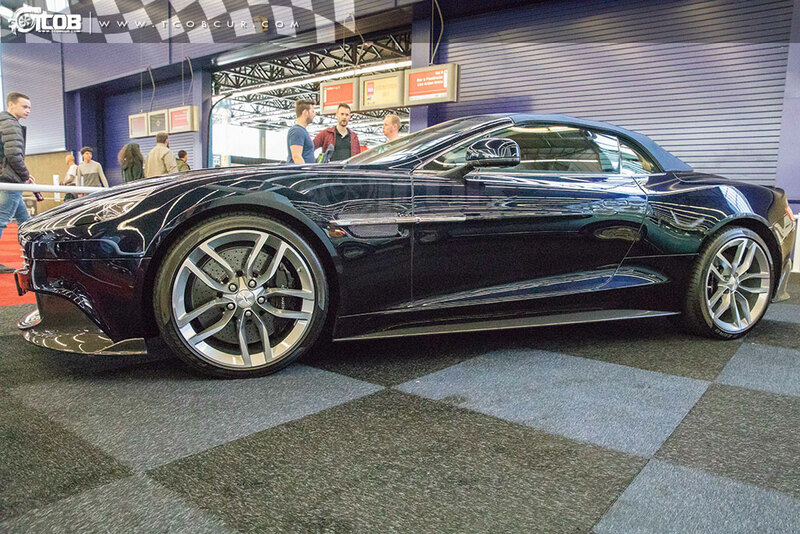 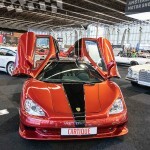 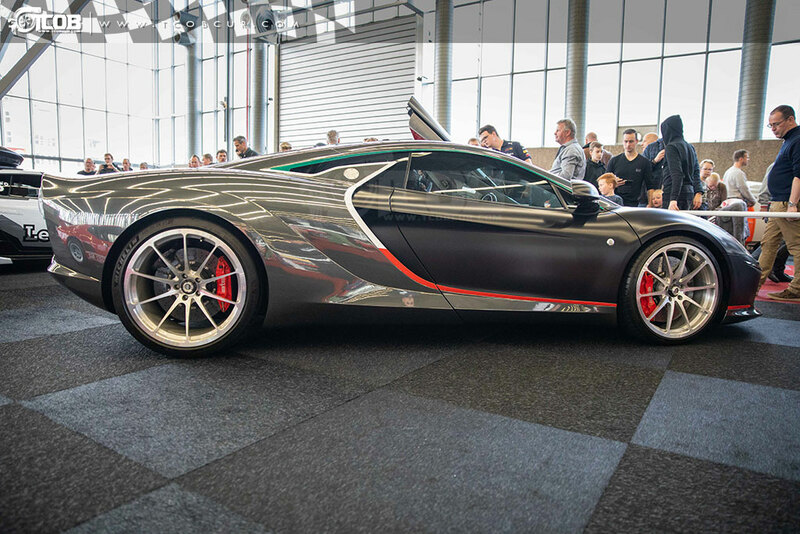 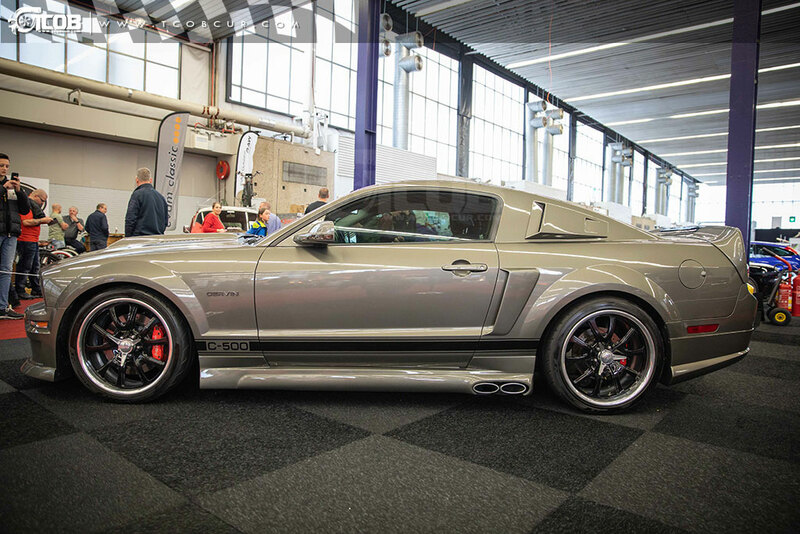 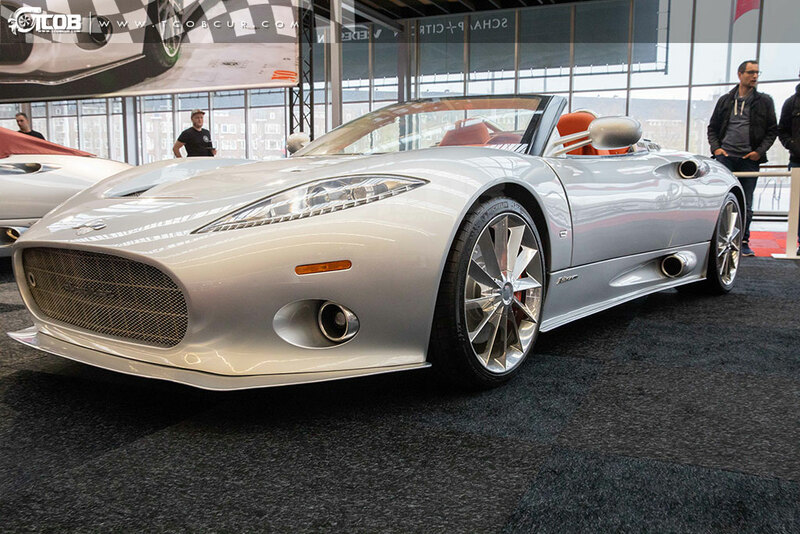 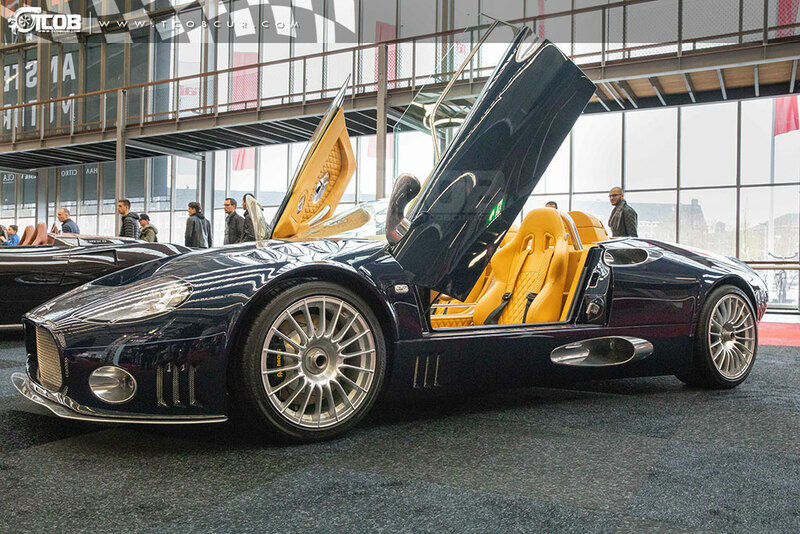 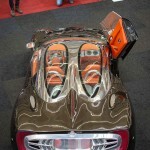 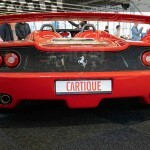 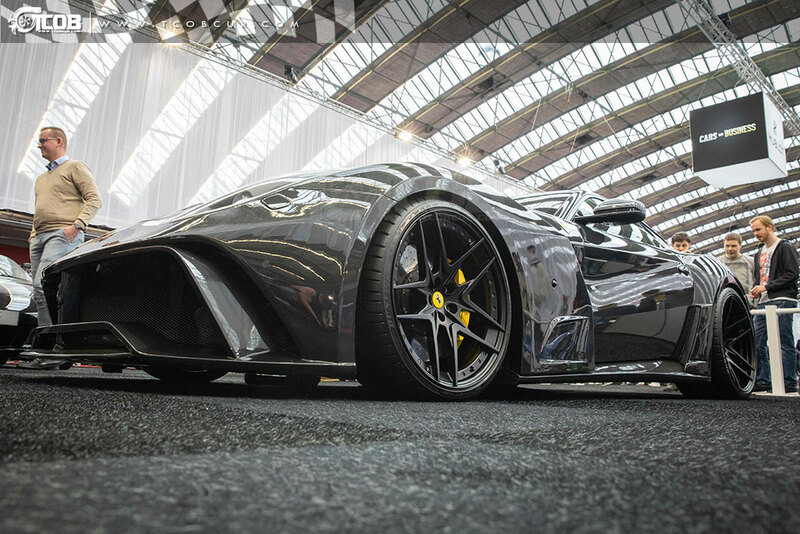 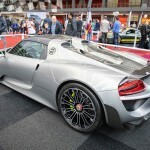 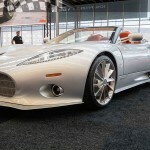 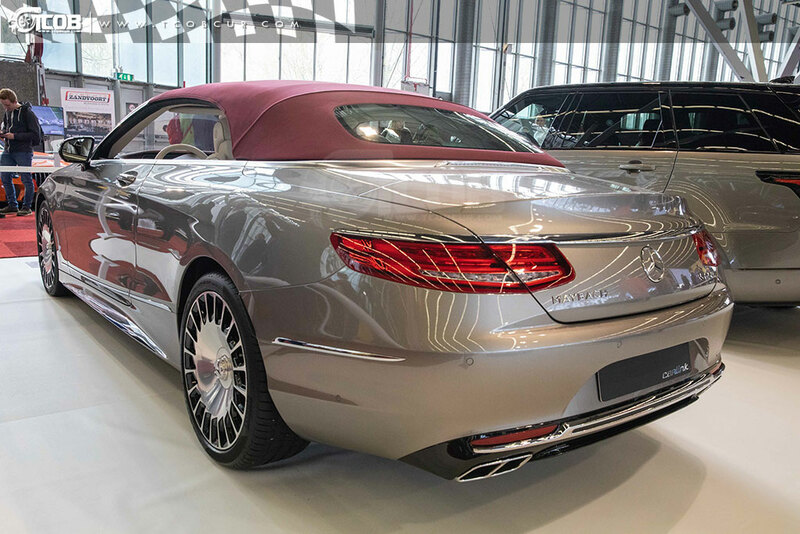 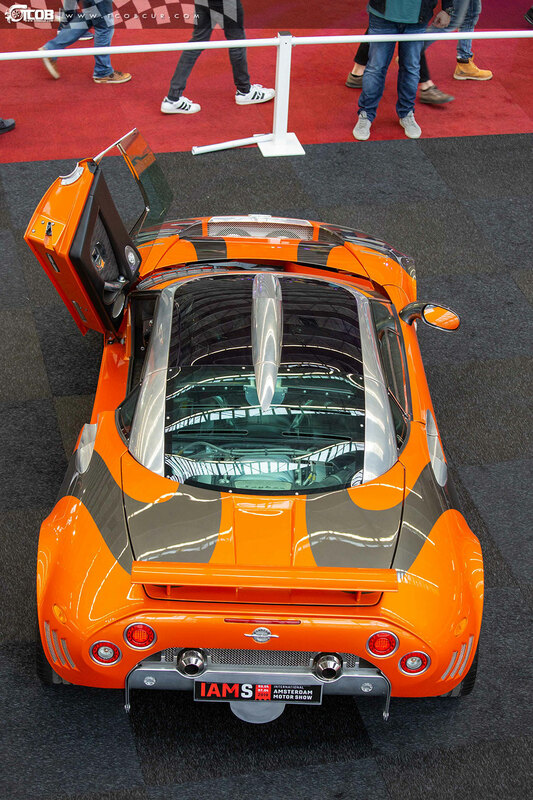 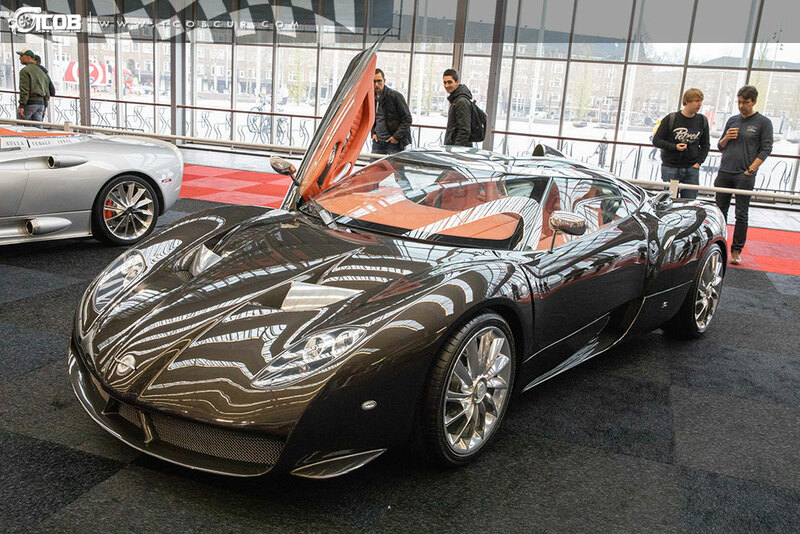 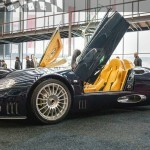 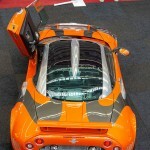 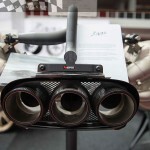 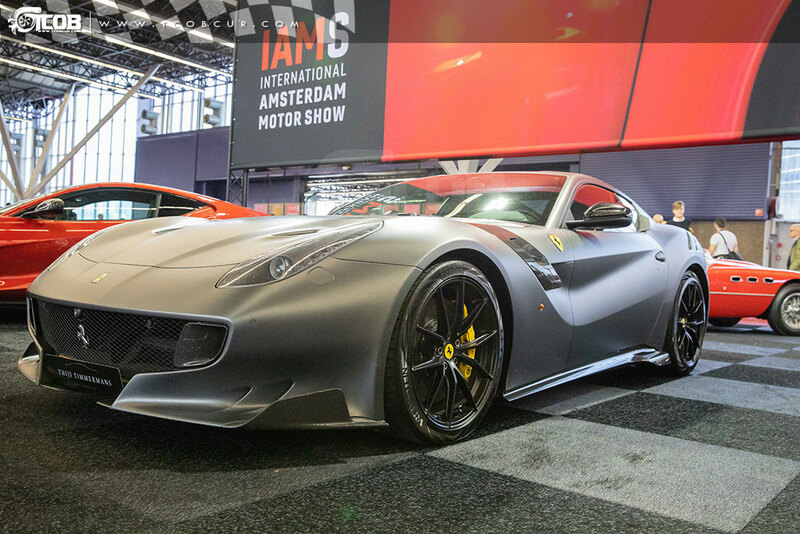 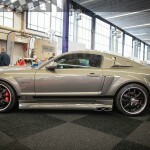 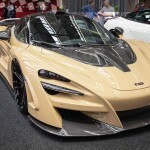 International Amsterdam Motor Show [IAMS], the most unique car show organized by 402 automotive and Car & Business has grown in footprint and the collection got rarer & more exotic. 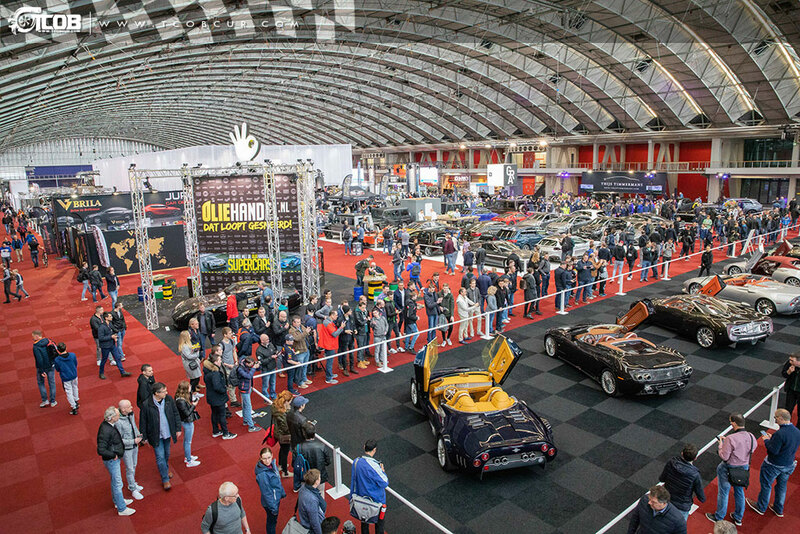 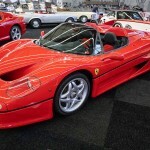 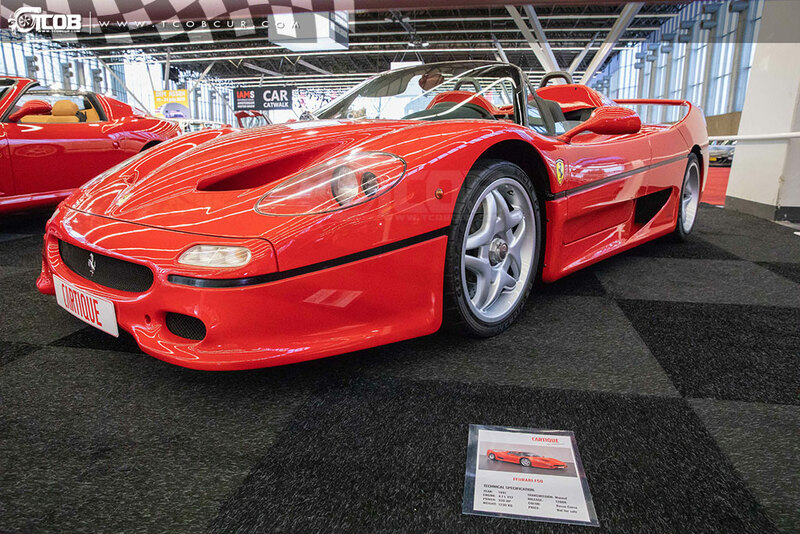 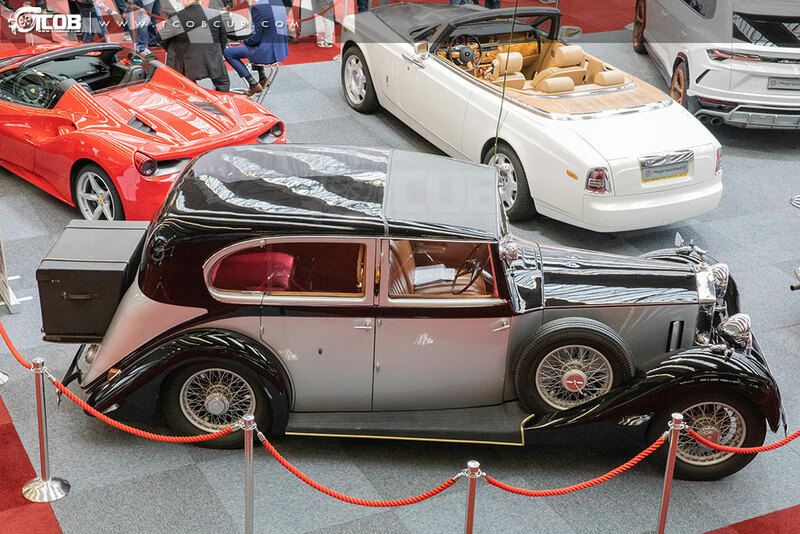 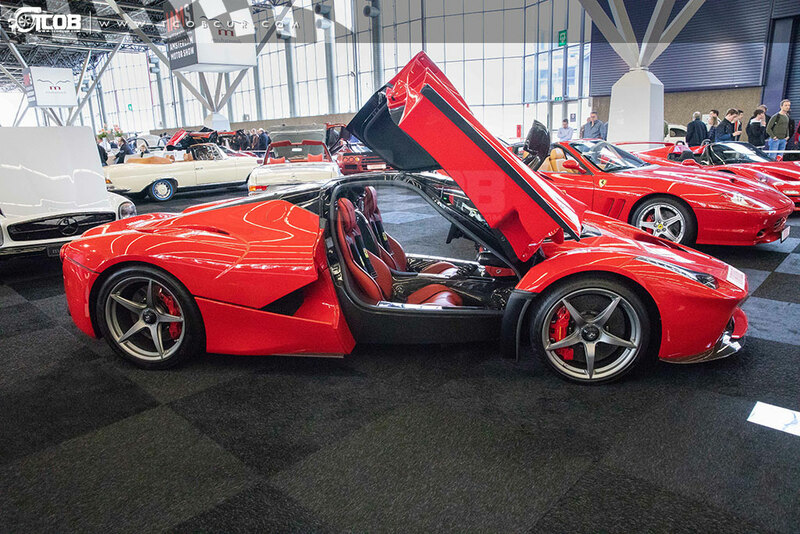 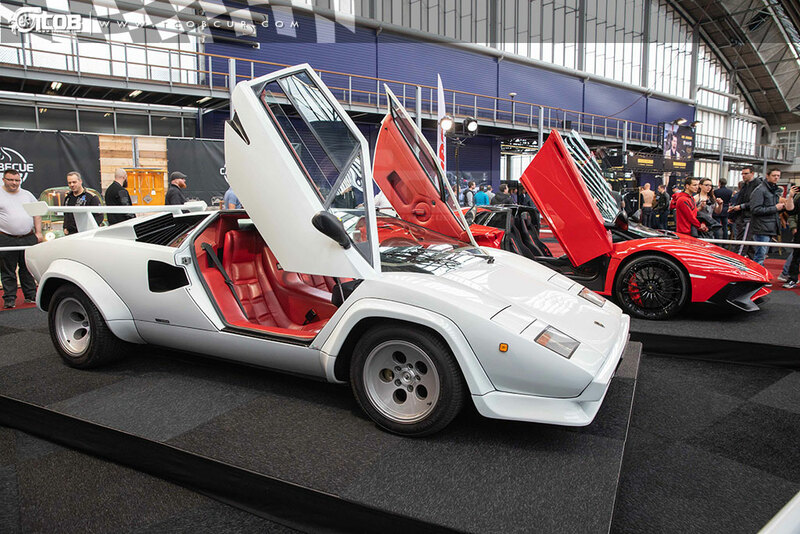 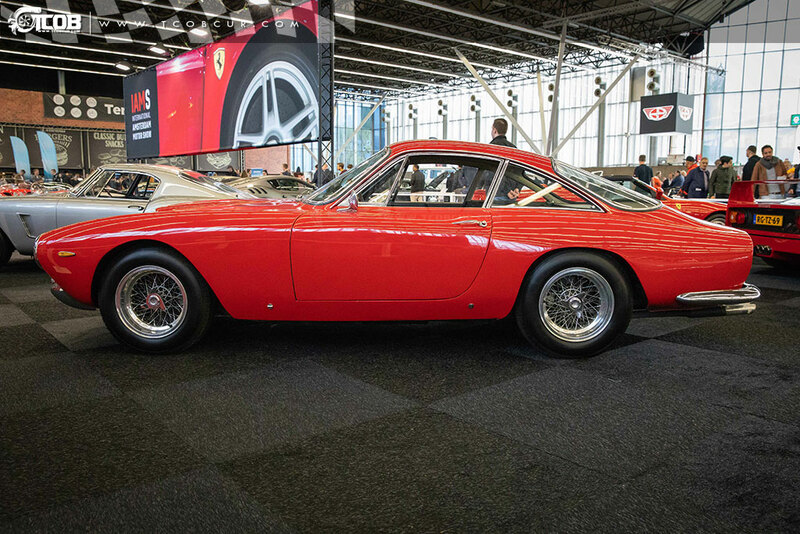 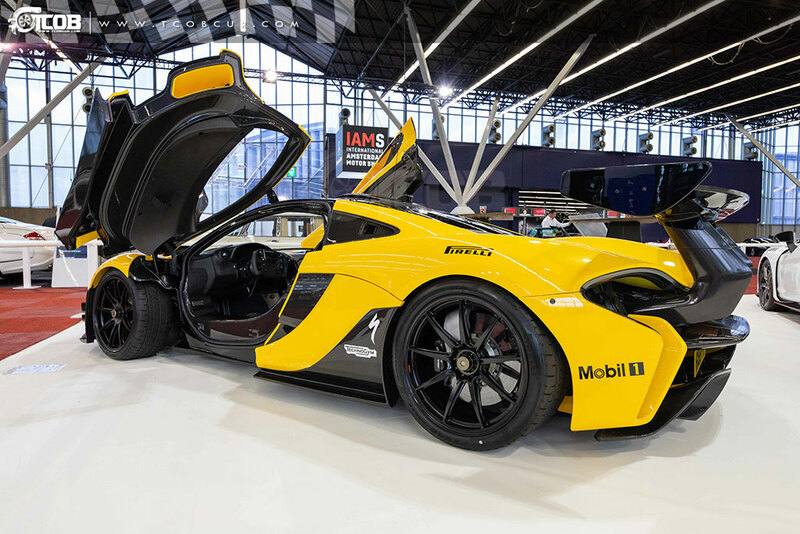 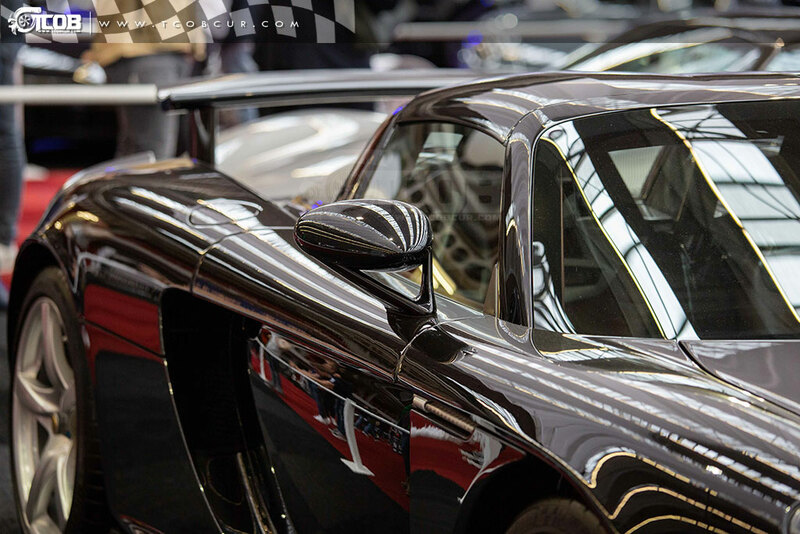 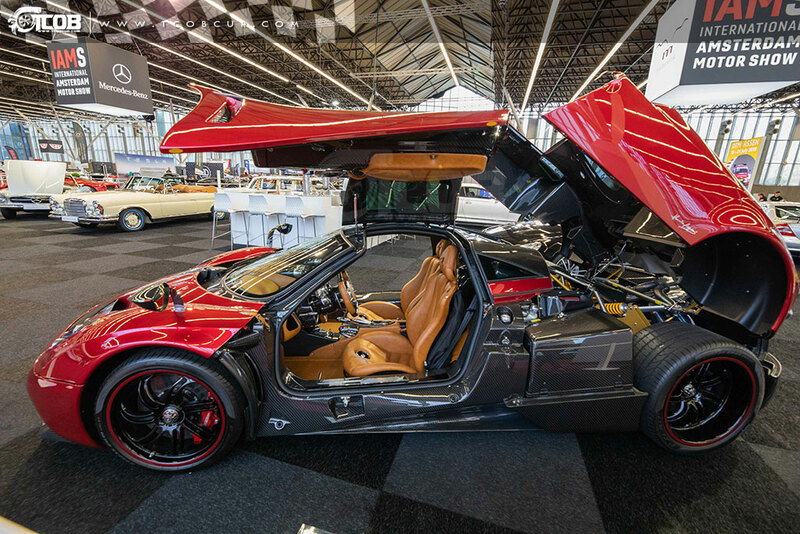 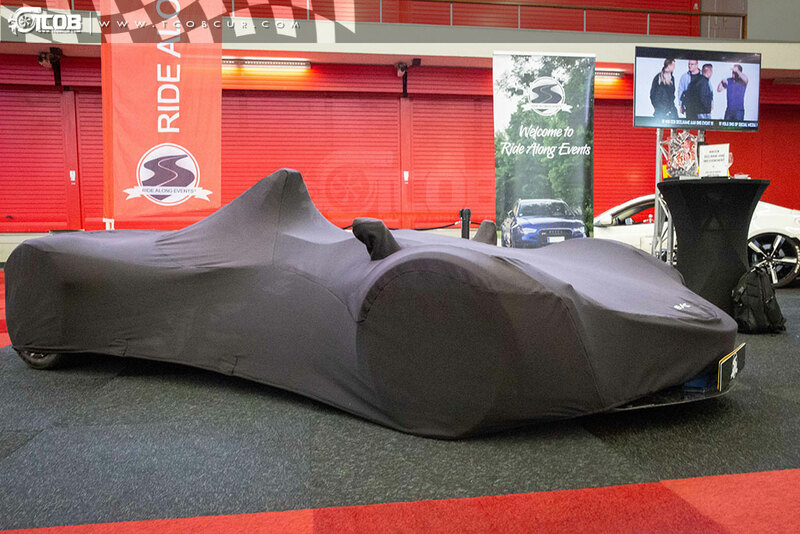 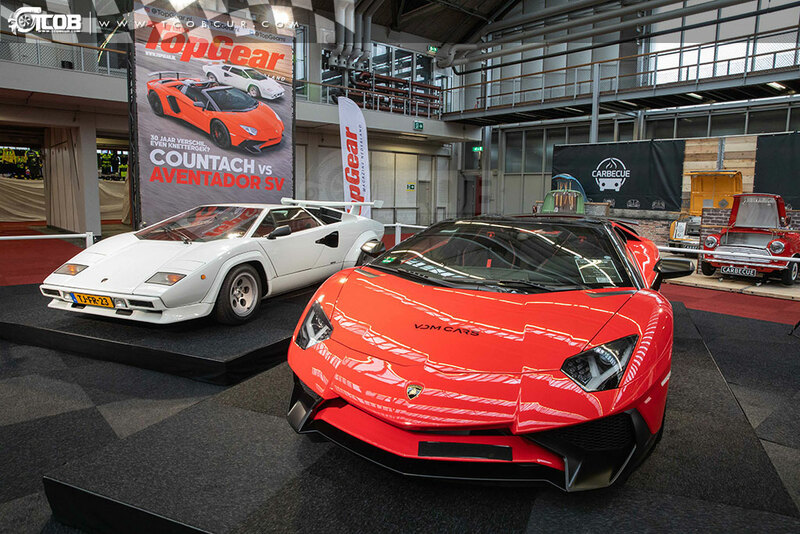 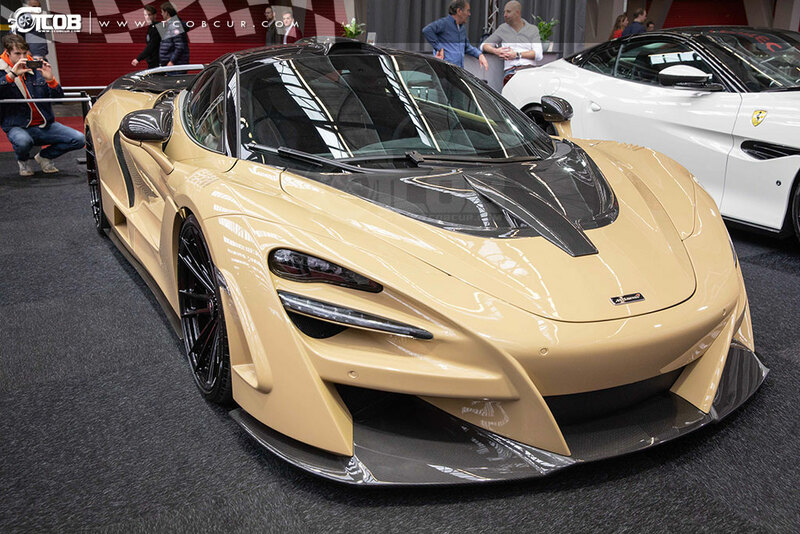 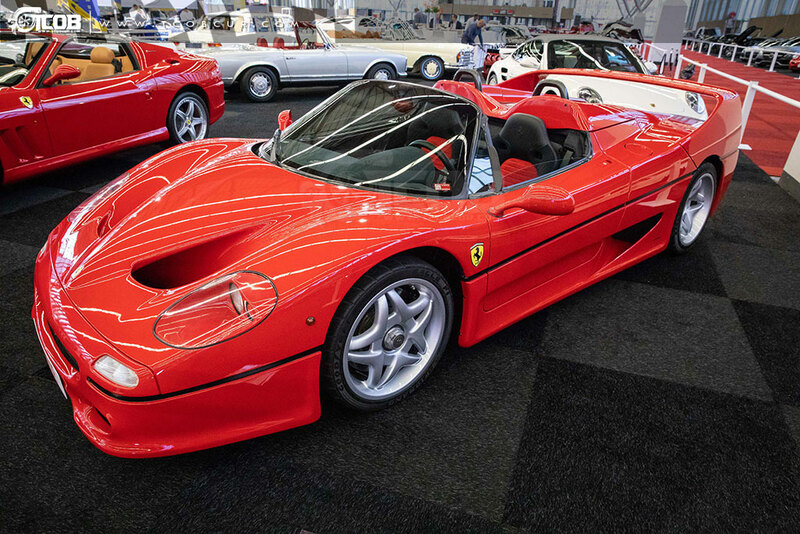 More than 200 cars; from dealers, car importers and private collectors have turned RAI into a temporary museum (from the oldest up to the newest hypercar), increasing RAI Amsterdam total value up to ± € 250 mln! 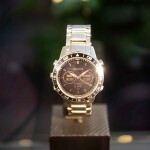 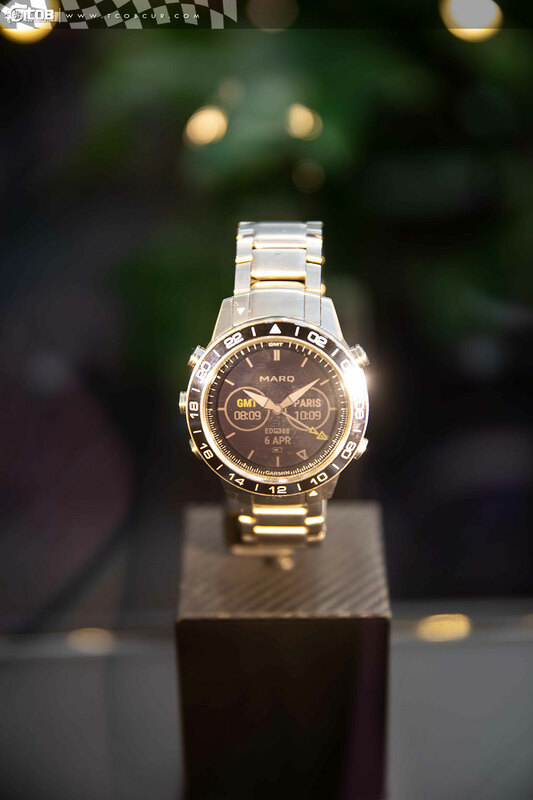 One thing not uncommon among exclusive cars owners is the interest for watches. 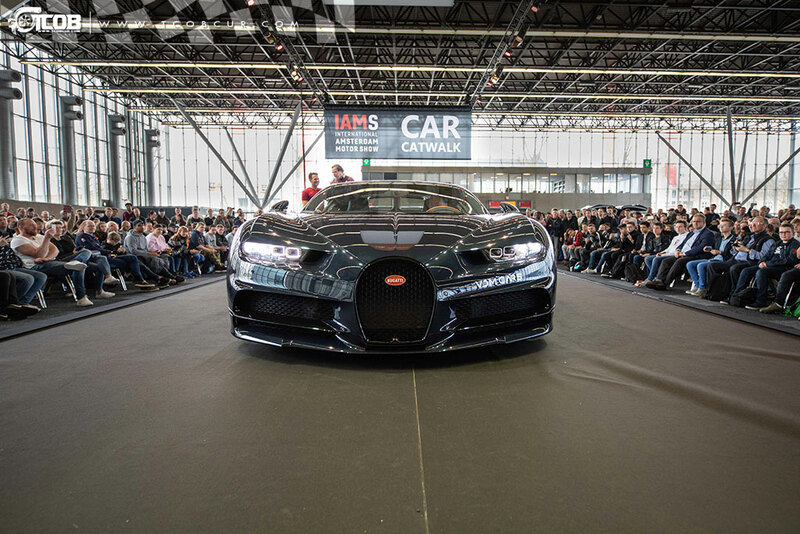 This also reflected in IAMS 2019. 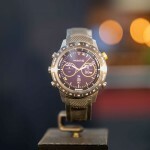 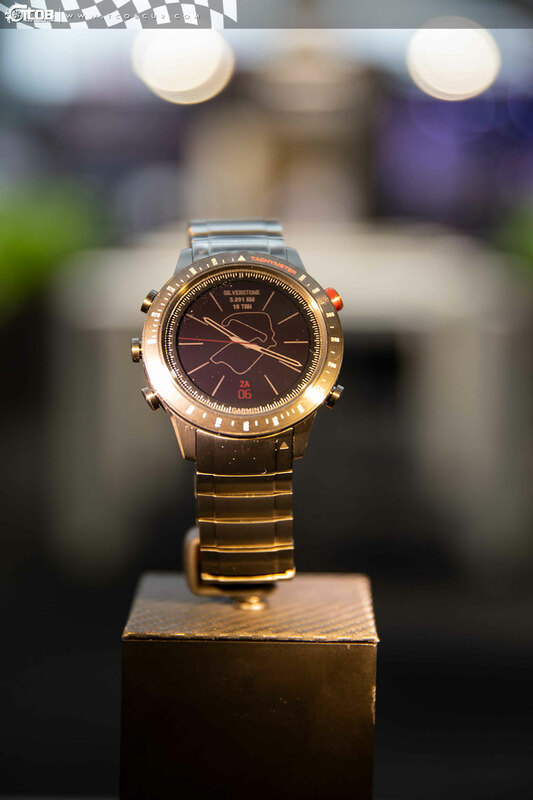 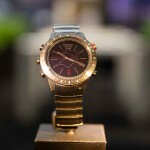 Garmin, a brand well known in car navigation exhibited their most exclusive watches, like this “driver” from their Marq collection. 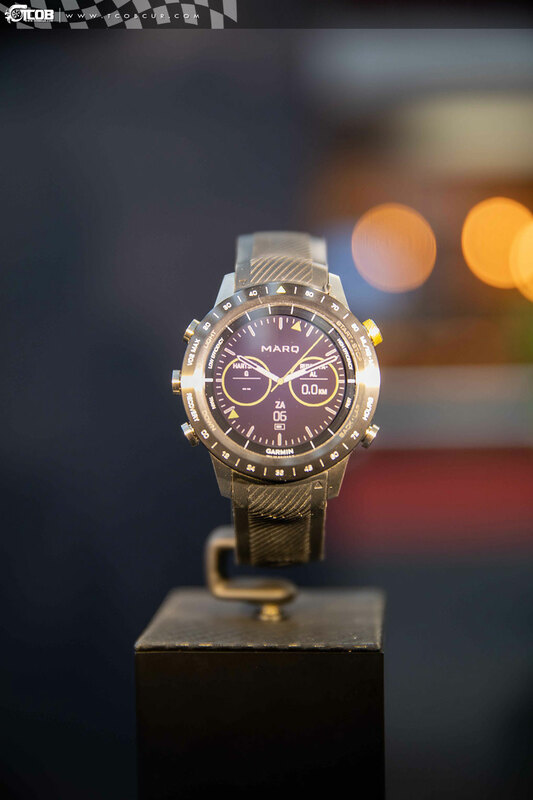 This smartwatch is specially designed for the race enthusiast and has more than 250 of the world’s circuit build in. 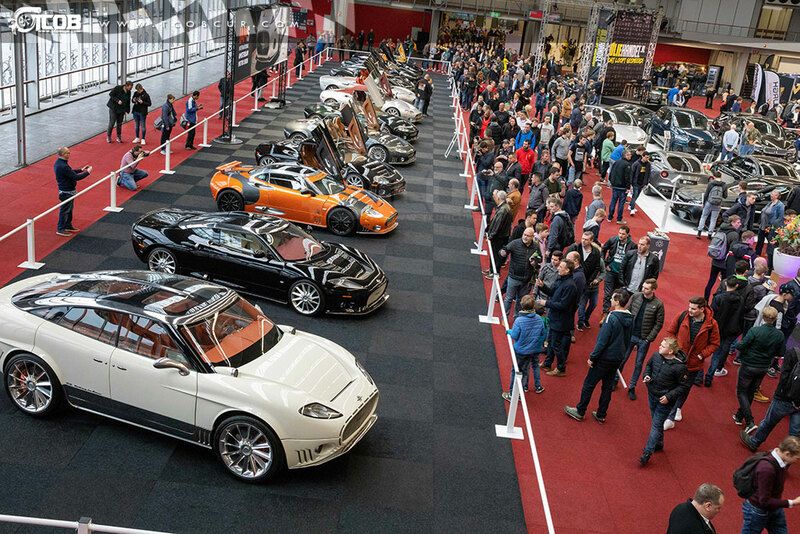 A new section added to this year edition is; The Car Catwalk! 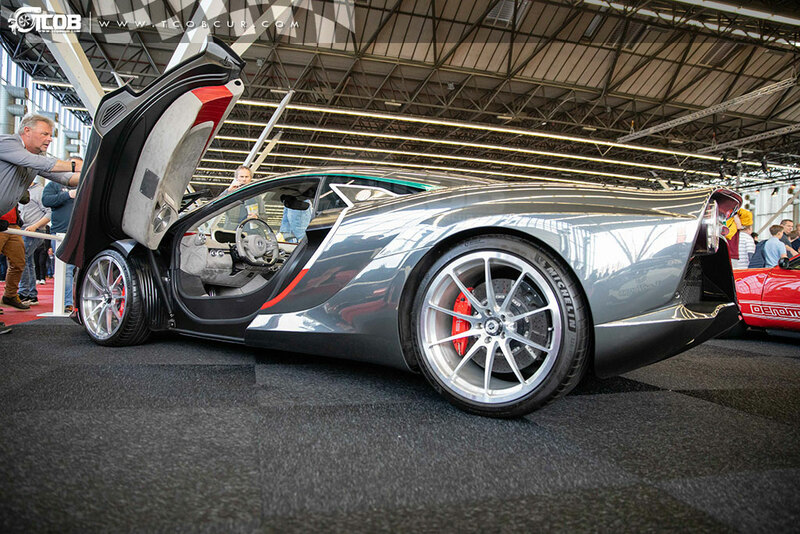 One by one, these exclusive cars would drive up the Catwalk and shine for a moment. 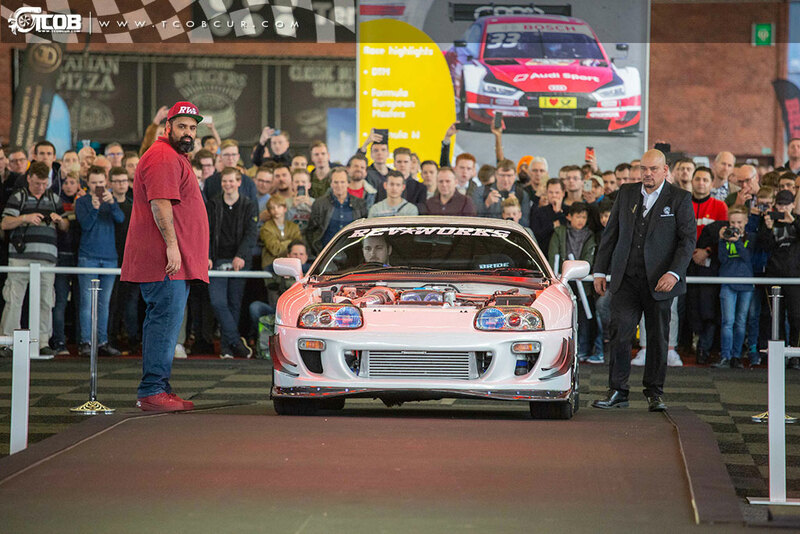 Not only your eyes were triggered by these beauties but the sound of those engines was from another world and the public loved it. 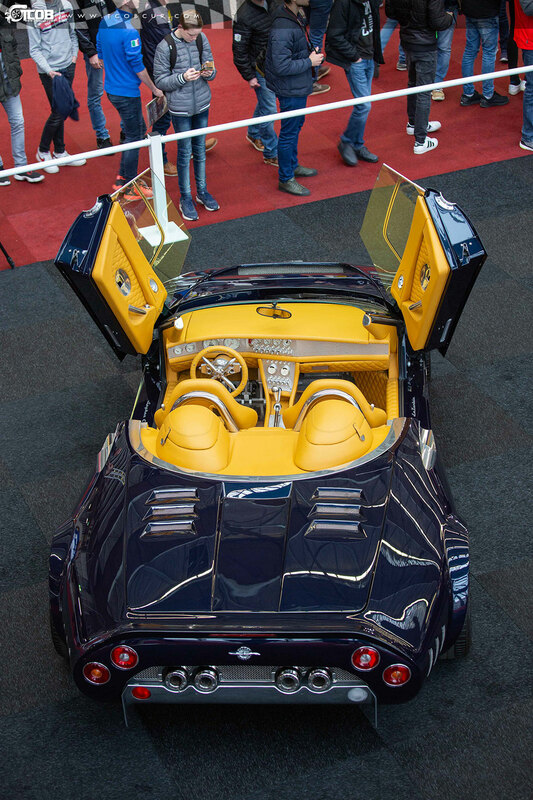 The Car Catwalk was hosted by Gert-Jan Hennipman (One of the most craziest hosts ever seen) provided the public with some inside information about the car owners, history, price, etc. 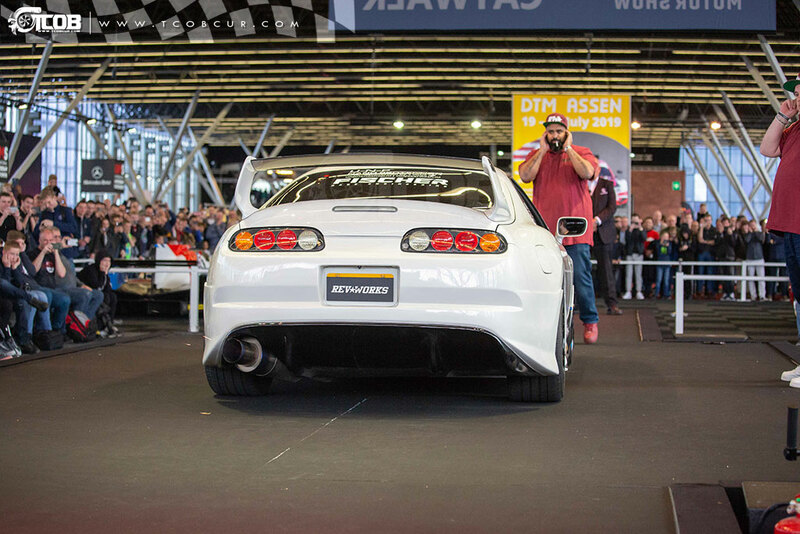 Supercars always get the most attention, like this Bugatti!But this Toyota Supra got the audience talking for hours, the revving sound coming out this car was unbelievably loud! 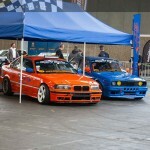 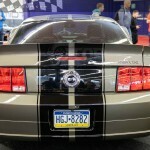 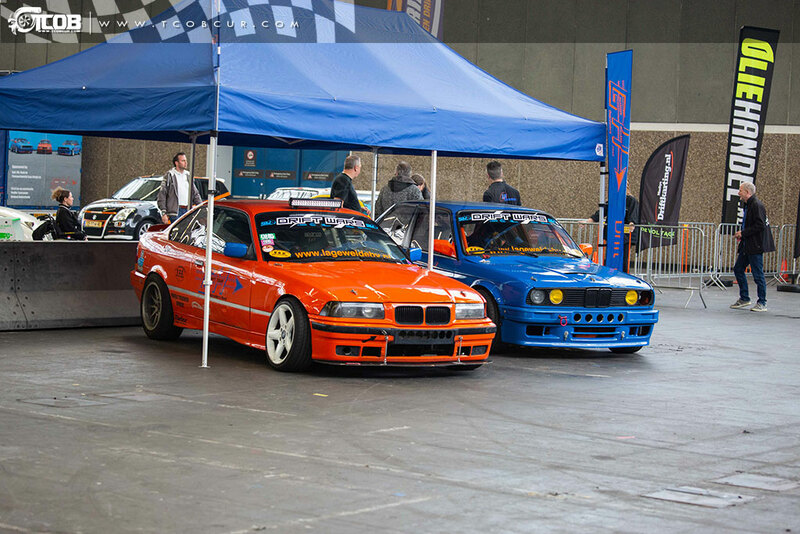 Besides the Car Catwalk, there were stands from several tuners and parts dealers. 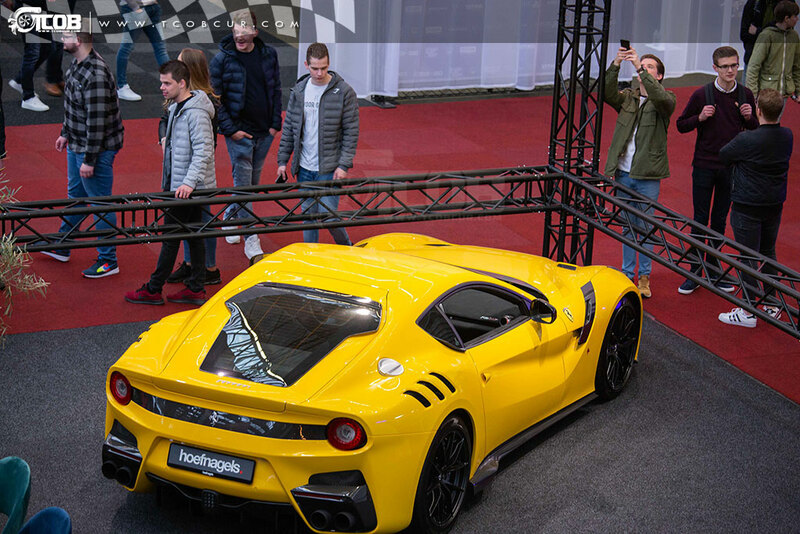 One of them is Novitec GmbH & Co KG, exhibiting their first customized/tuned Ferarri Portofino. 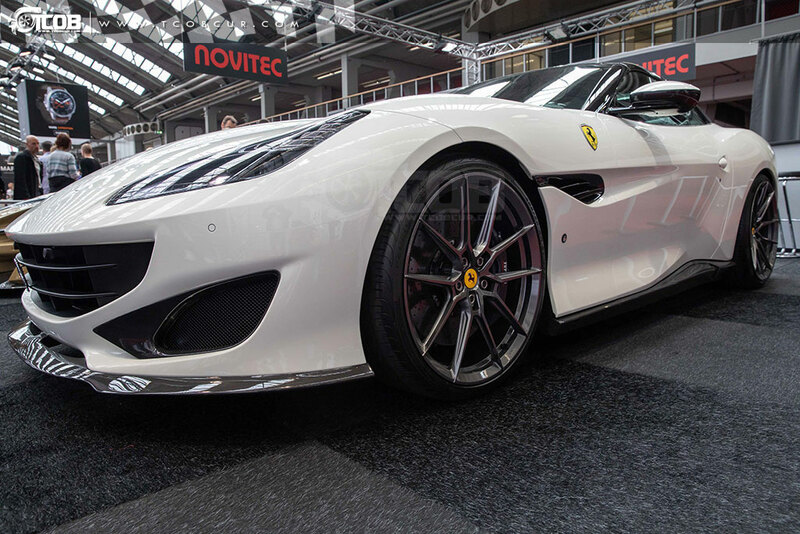 Only a week ago this Portofino was still at the Novitec shop in Stetten Germany. 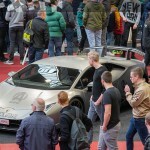 Making this their world premiere! 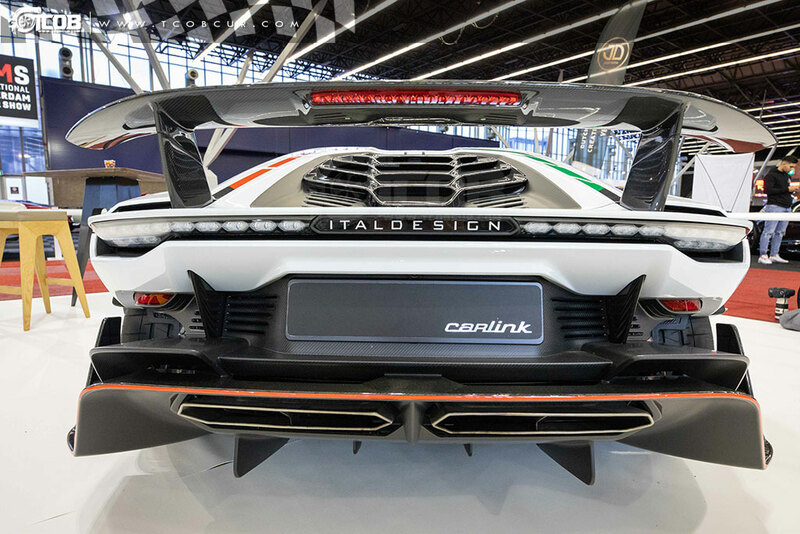 This car generates 600 Horsepower using a 3.9-liter twin-turbocharged V-8. 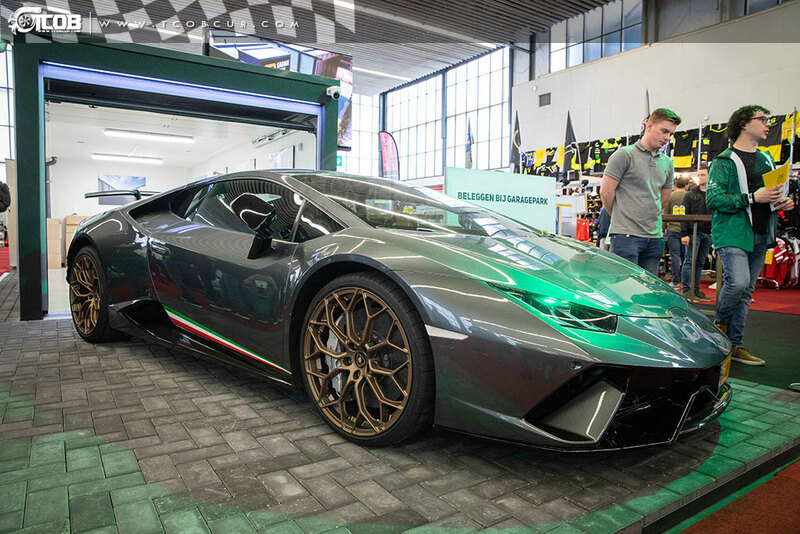 So what improvement could you need? 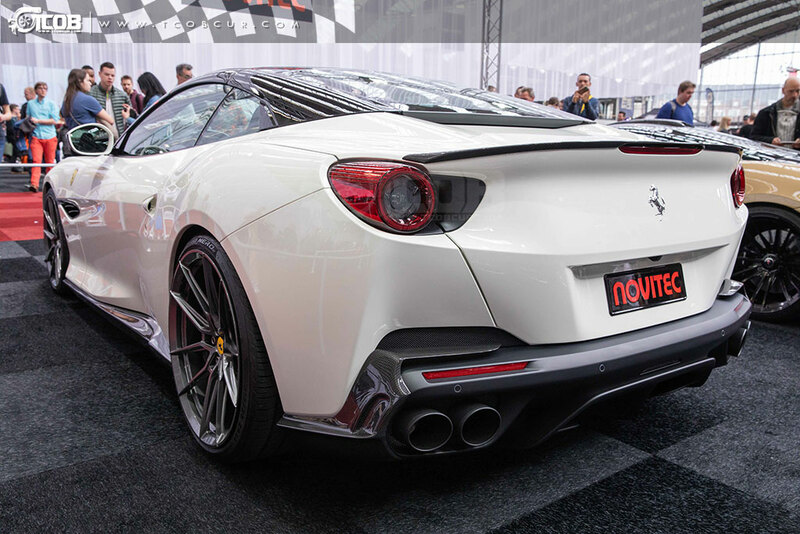 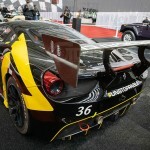 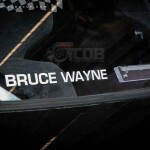 Well, Novitec added another eighty-six horsepower, improved aerodynamic, while giving the car a more aggressive look. 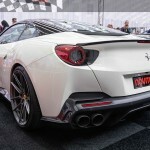 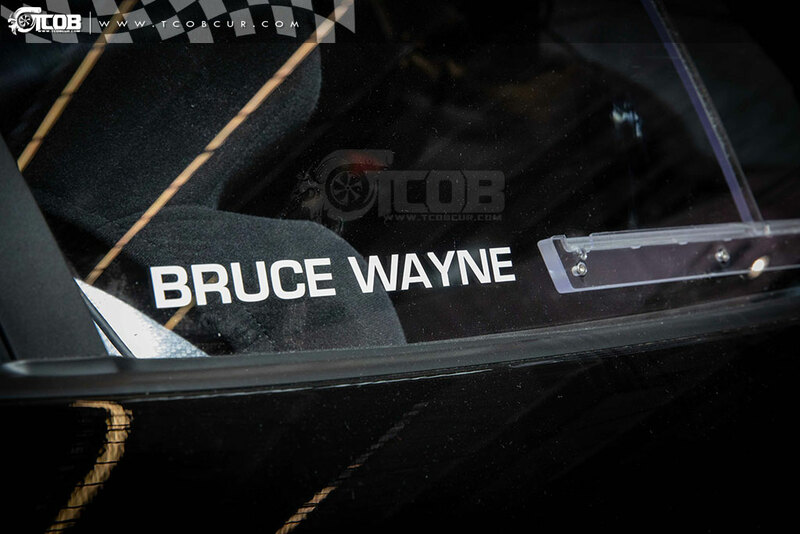 They also added an ultra-light Inconel exhaust system and some Novitec 22” rims. 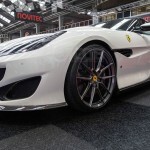 This package will add another twenty-five thousand euros on top of this € 240.000 (new price) Portofino. 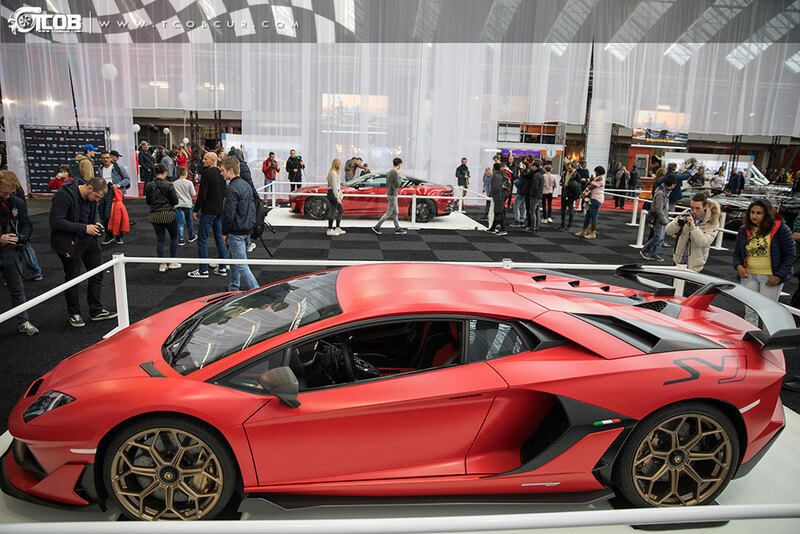 To give the audience the ultimate adrenaline kick, Exhibition Hall 8 was converted into a Live Arena. 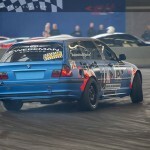 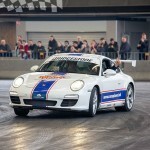 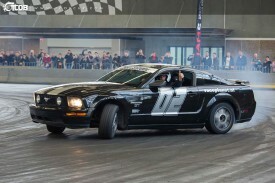 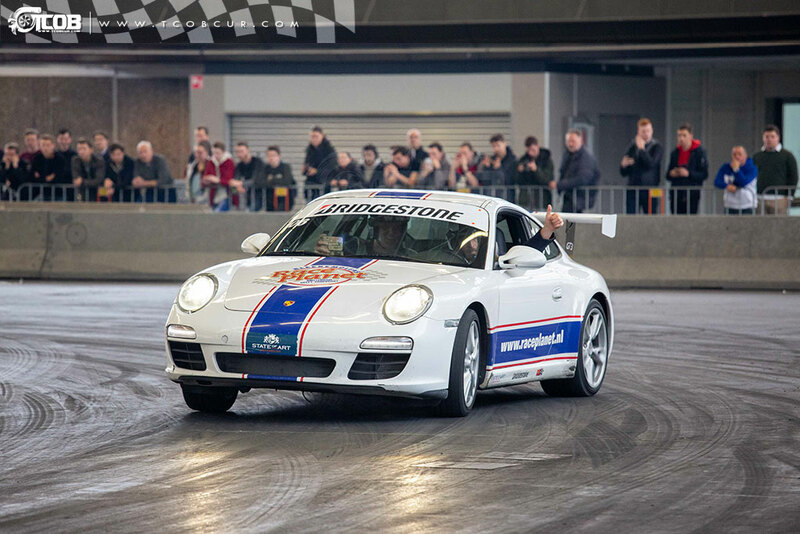 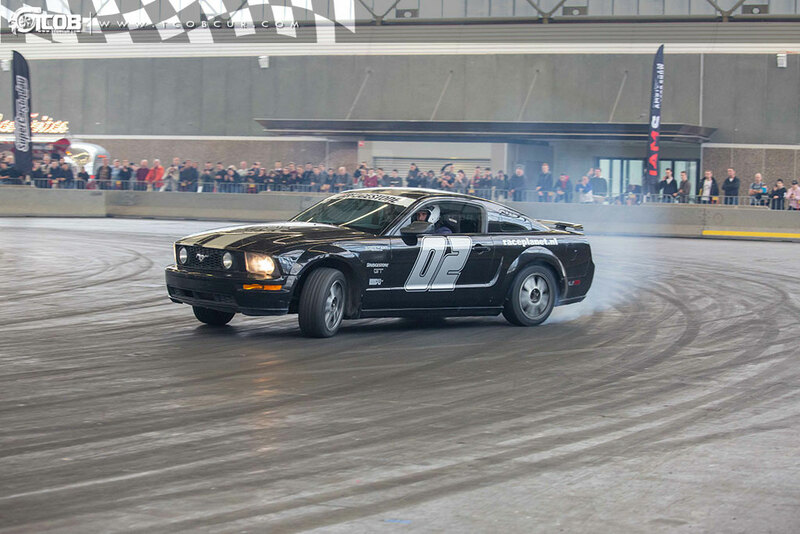 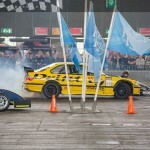 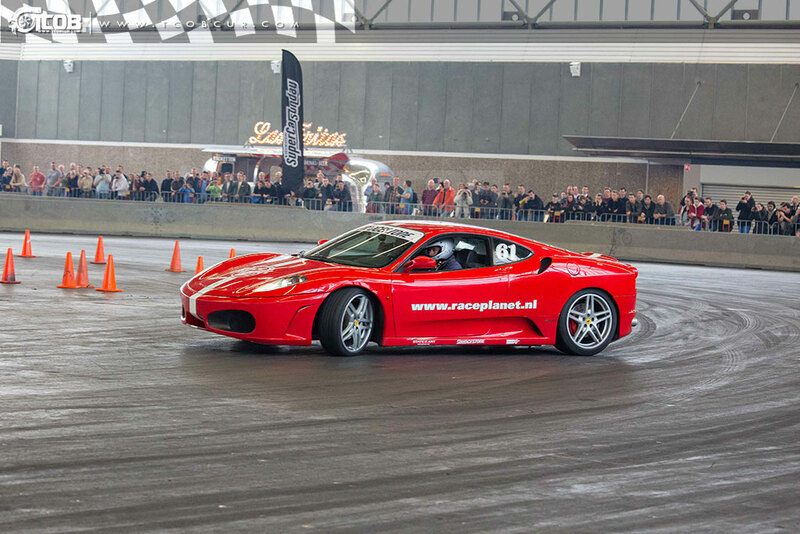 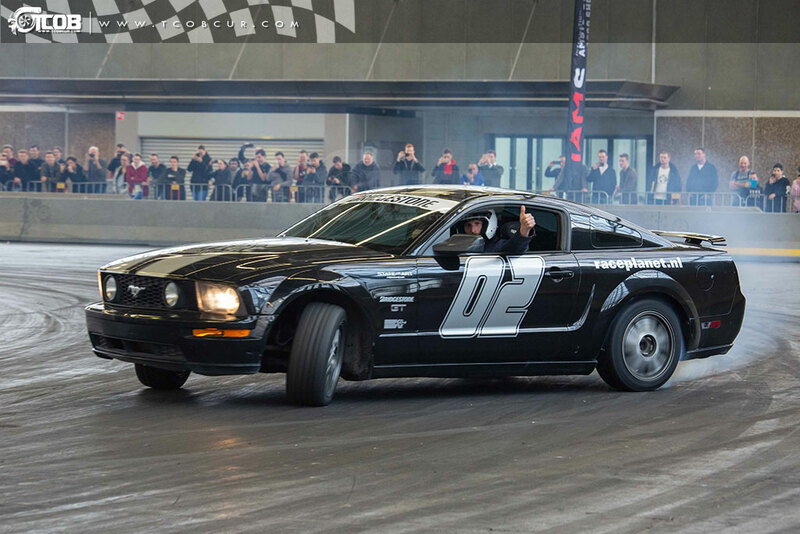 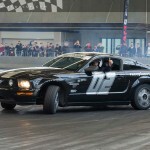 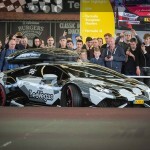 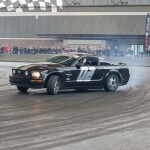 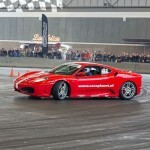 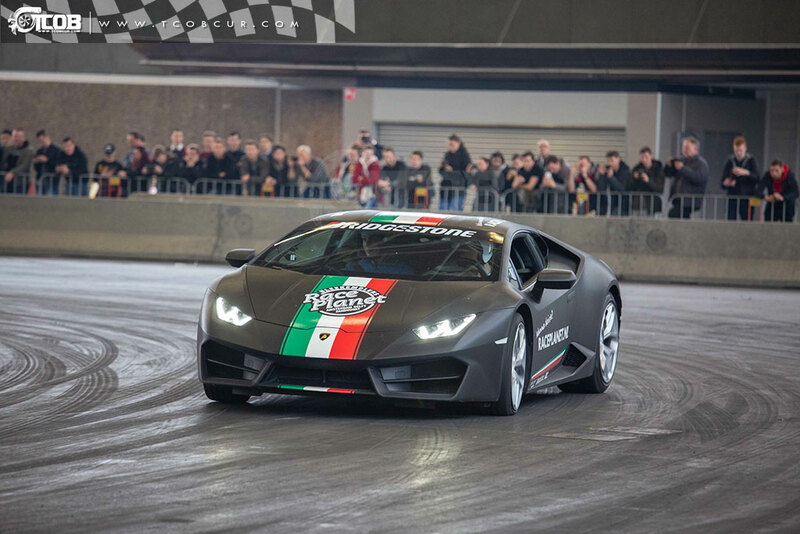 The team from Bleekenmolen Race Planet came to Amsterdam with their traditional Porsche’s, McLarens, Mercedes-AMG and Ford Mustangs for drift demos. 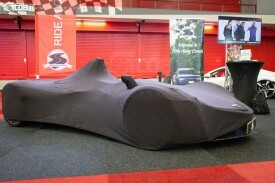 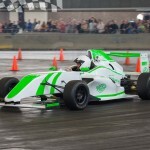 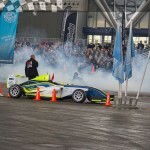 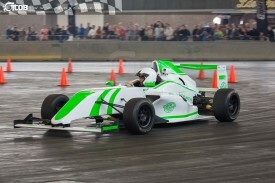 But didn’t stop there; they entertained the public with some Formula RP1’s races. 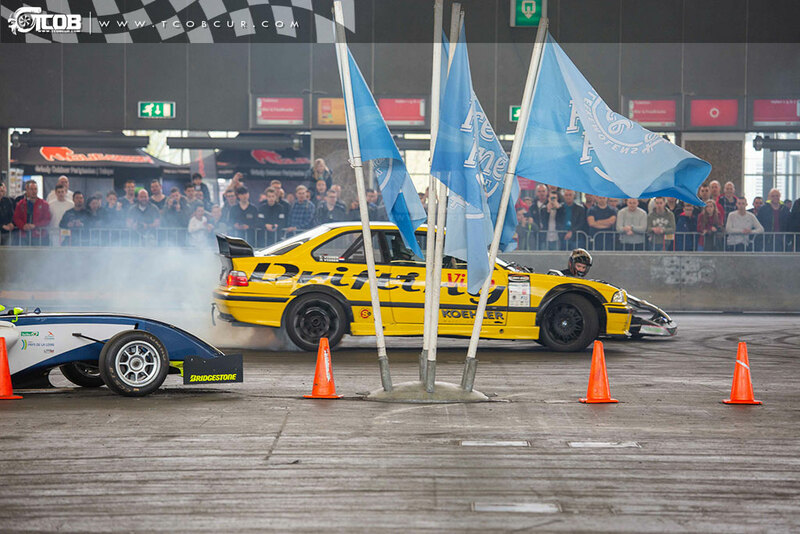 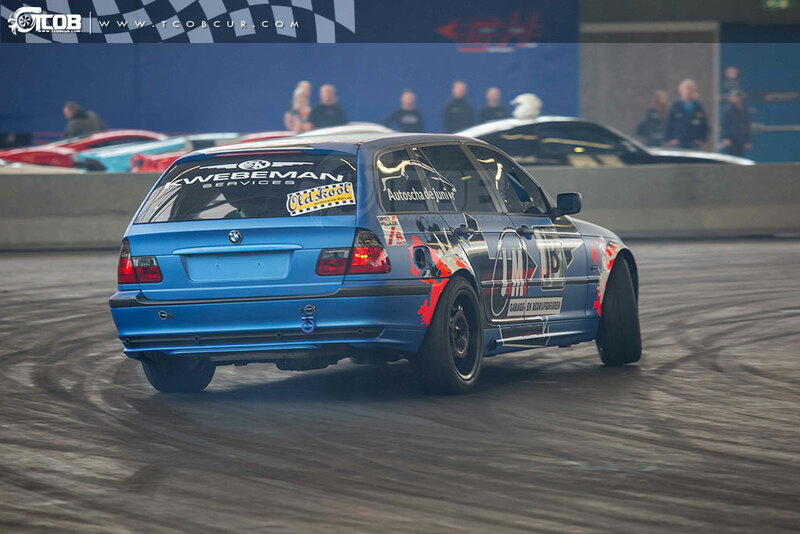 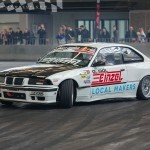 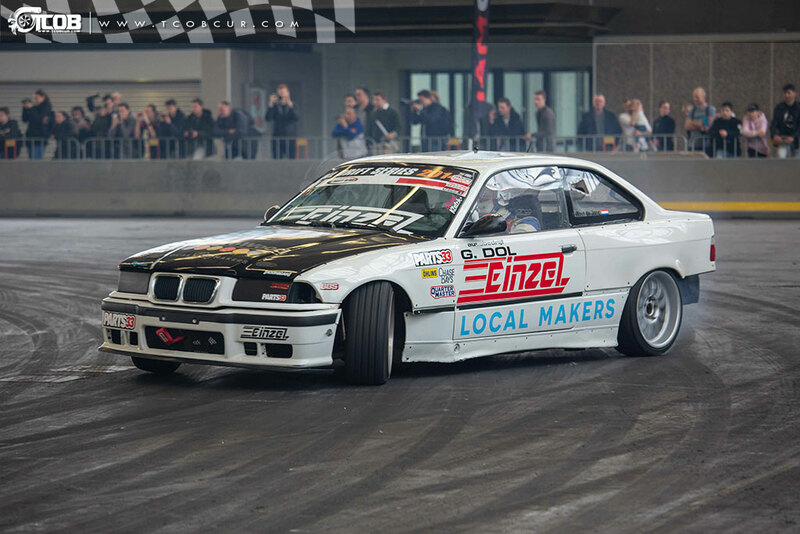 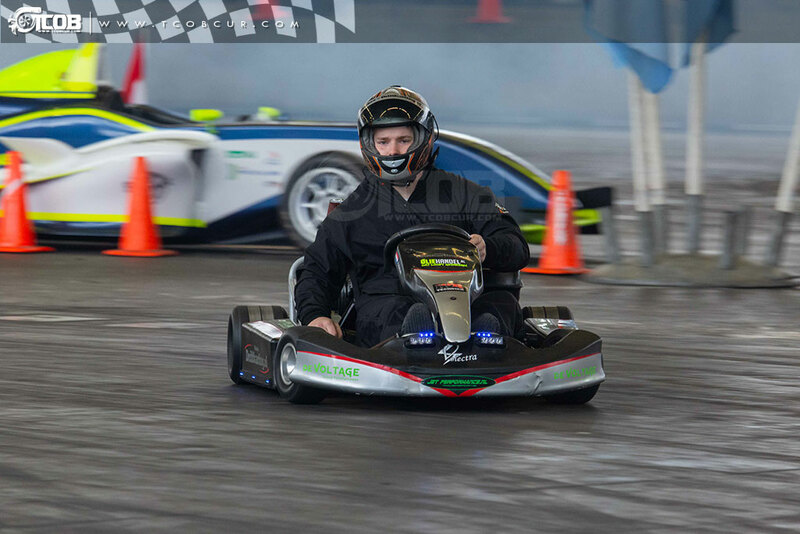 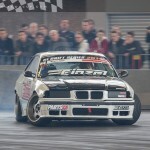 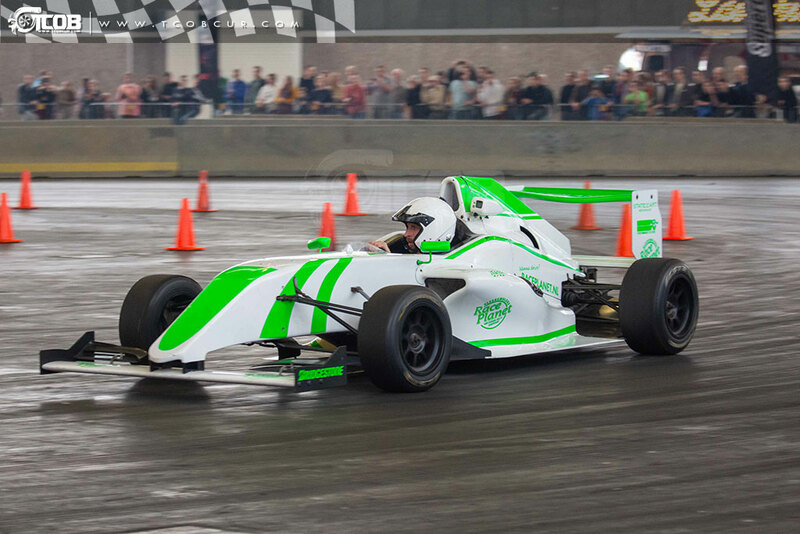 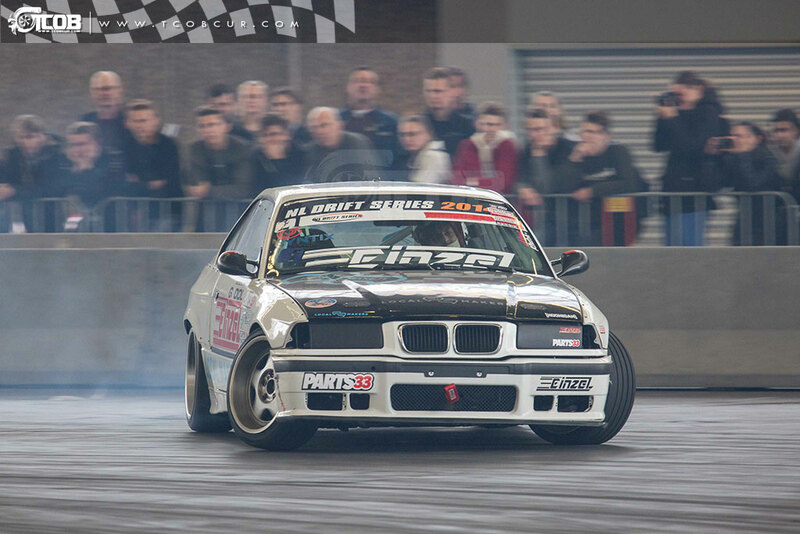 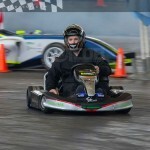 Not only Bleekenmolen but also the boys from easy drift, Macky’s DriftKarting en Competitors from the NL Drift series increased the adrenaline levels through the roof. 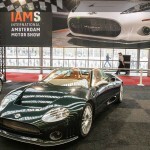 IAMS is all about unique cars! 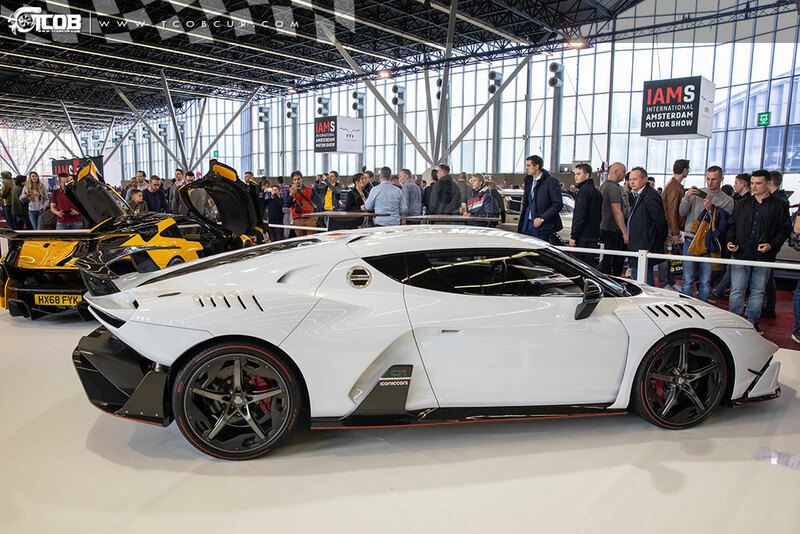 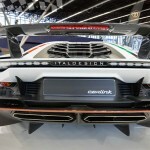 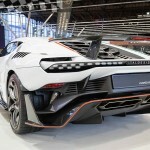 One of them is this Italdesign ZeroUno. 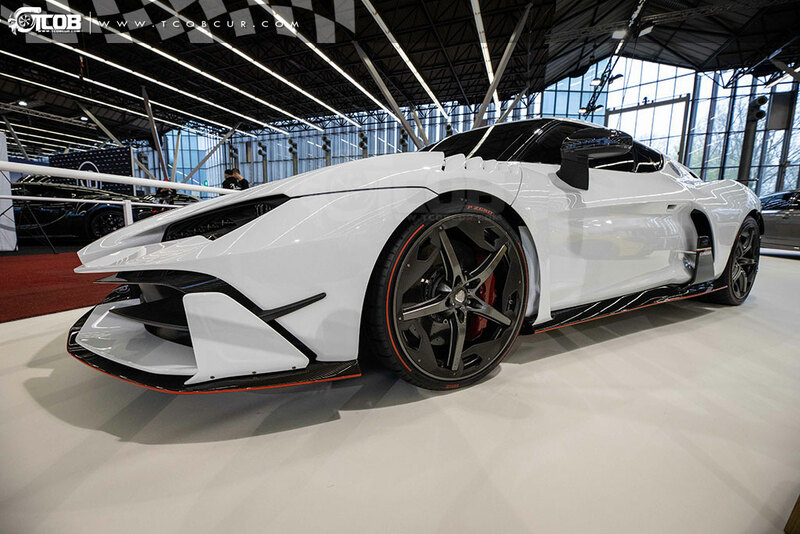 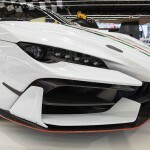 The ZeroUno, which means “Zero One” is a 1.5 million euros two-seater carbon fiber car which was revealed by Italdesign Automobili Speciali in 2017. 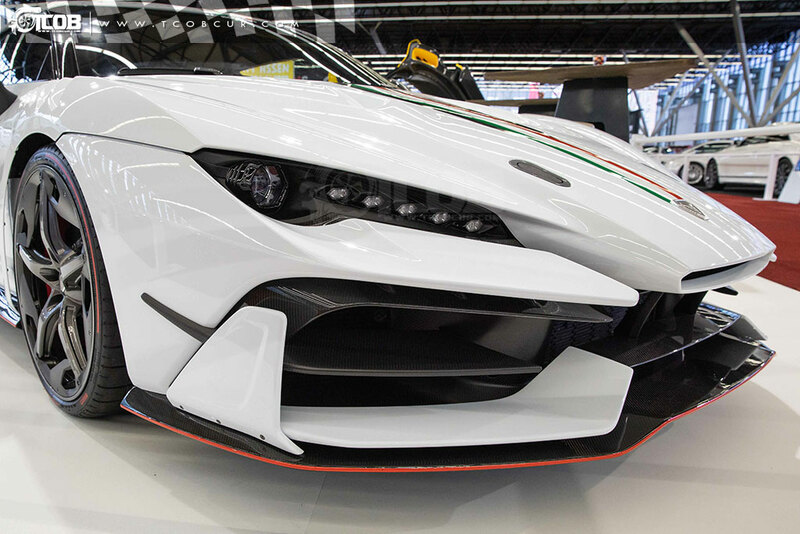 If that wasn’t unique enough, there is only a handful of them on the planet (Italian Automotive has built only 5 of them!). 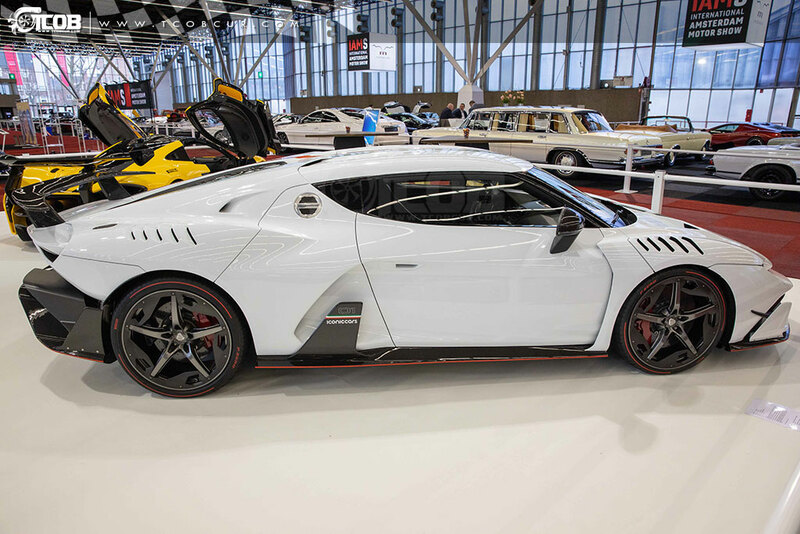 And this (Belgian registered) white ZeroUno is #0001, meaning the first of five ever build! 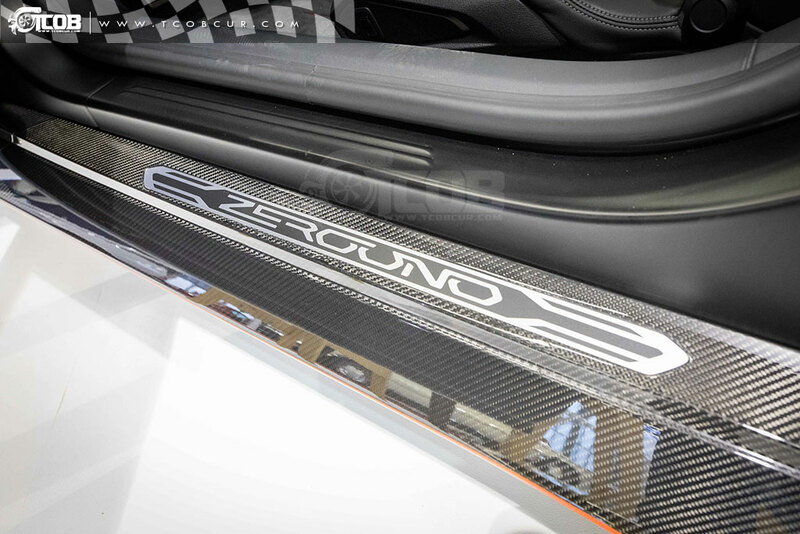 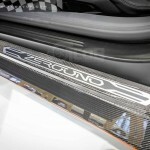 The ZeroUno is powered by a naturally aspirated 5.2 liter V-10, which produces 610 Horsepower. 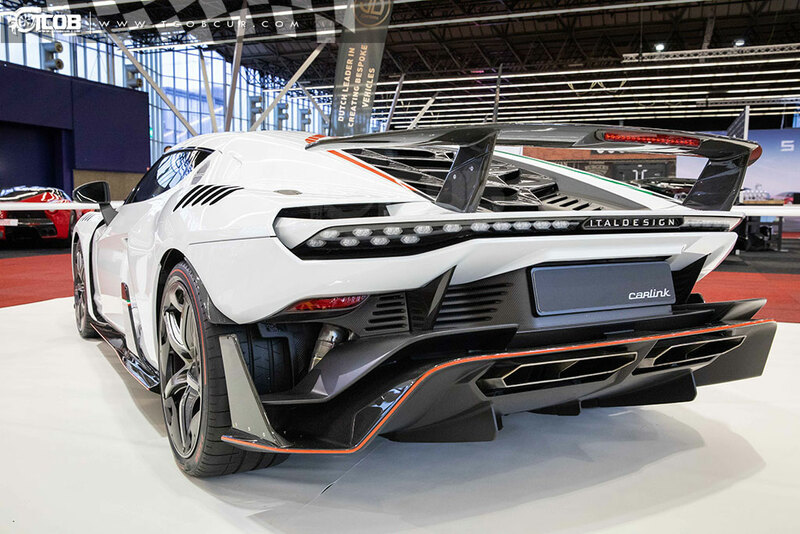 To stay in the unique section, this Automobili Turismo e Sport GT is also as unique as they get as the manufacturer only build twelve of them. 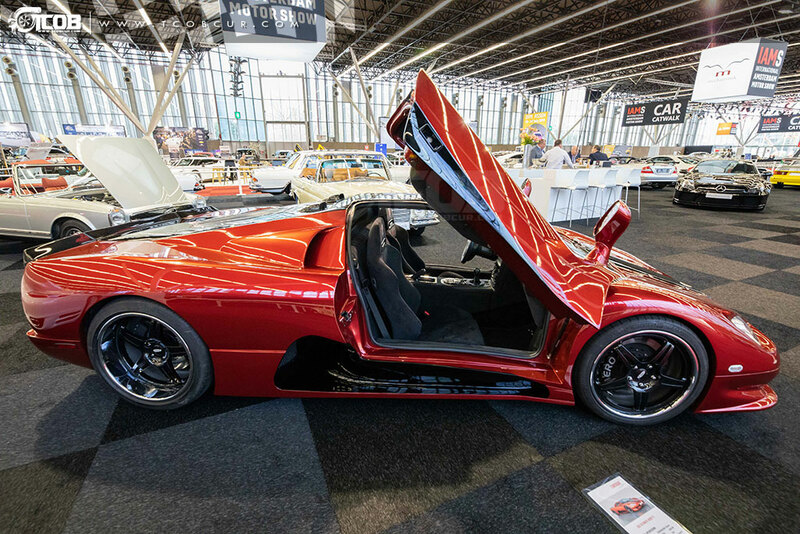 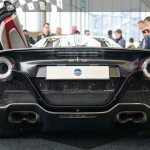 This 740 thousand euros supercar, powered by twin-turbo 3.8 liter V8 produces over 730 Horsepower. 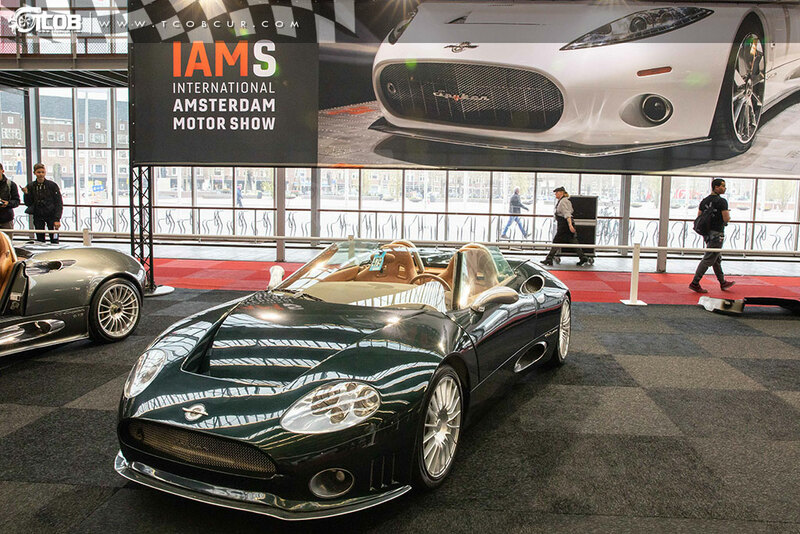 IAMS 2019 really went beyond expectations with their selection, took them out of their secret garages and put them onto the spotlight! 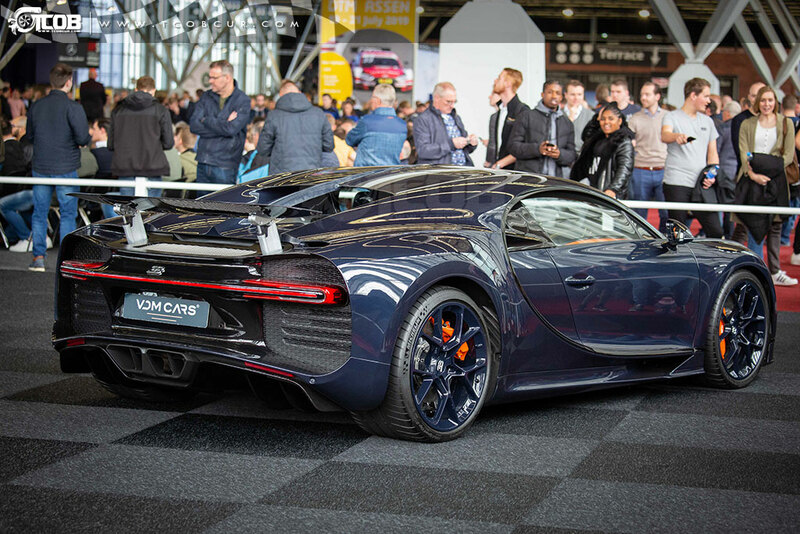 From a Bugatti Chiron which is limited already to 500 in total (100th delivered last year) to an Automobili Turismo e Sport (ATS) GT and the Zerouno which is only a handful in the world. 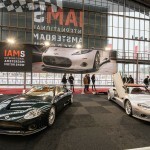 And these are just a couple of many beautiful and unique cars shown during IAMS. 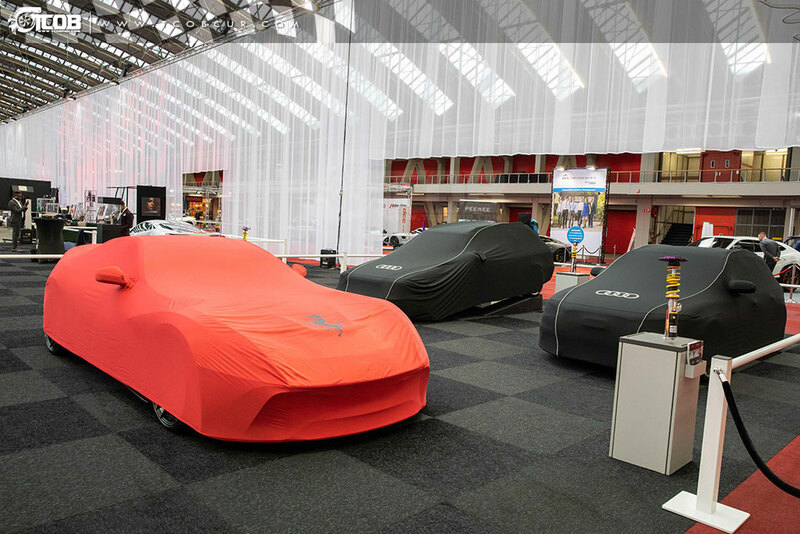 If you have missed this 2nd edition, stay tuned as the organization is about the announce if there will be a 3rd edition!